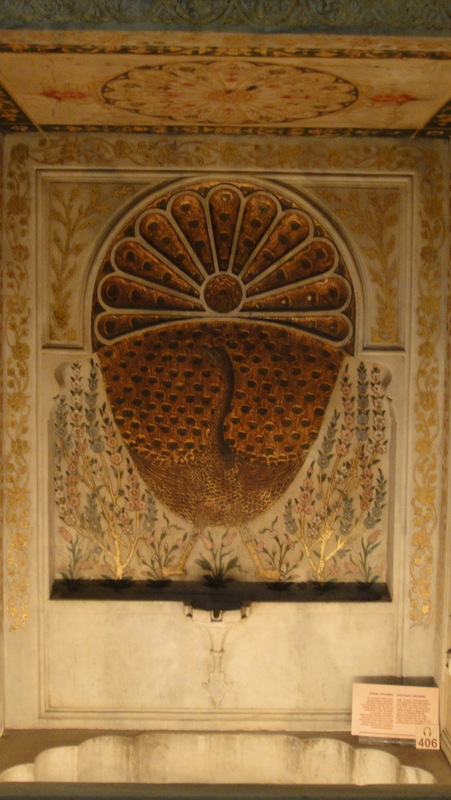 The Muradiye complex in Edirne — like the Muradiye complex in Bursa — was built by a pious Sultan (Murad II) for a religious community he always said he intended to join himself (and did — twice, each time abdicating in order to do so). 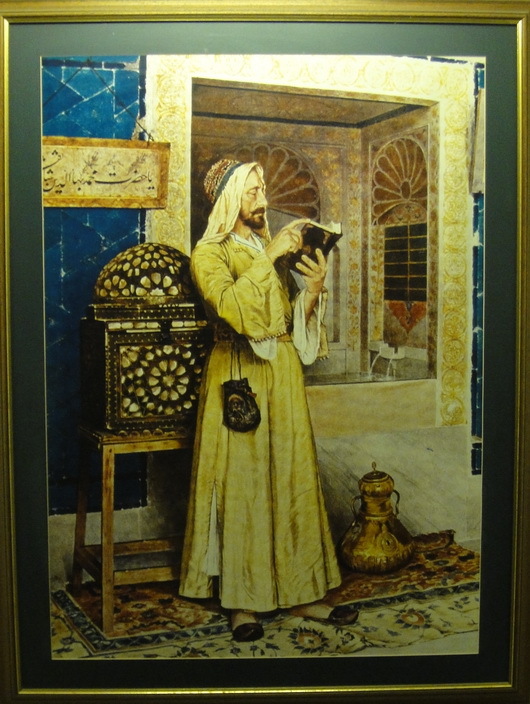 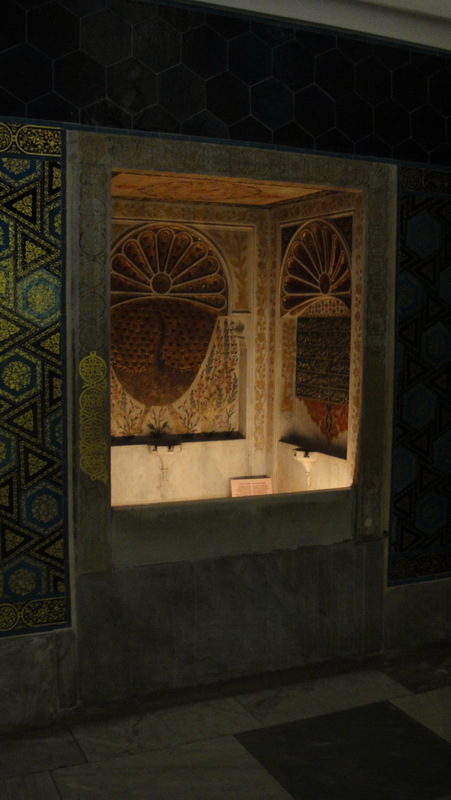 Both complexes were built well outside city walls – suggesting another calculation behind the foundation: religious communities of single men living together are famously troublesome and the Sultan may have been shipping the dervishes out of his way. 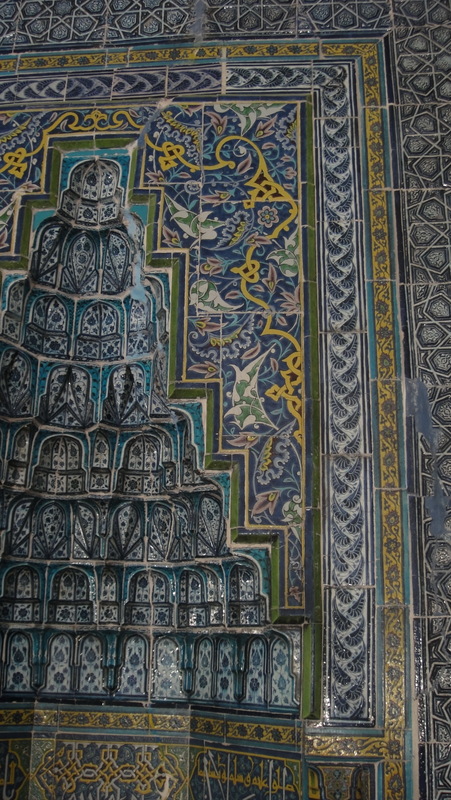 Each foundation was a vast project for its time: a large, beautifully decorated mosque (which doubled as the dervish residence). 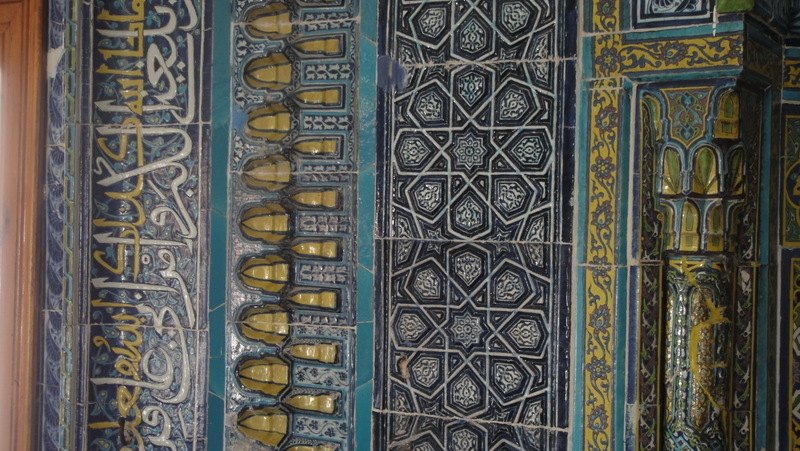 a medresa (school), a soup kitchen. 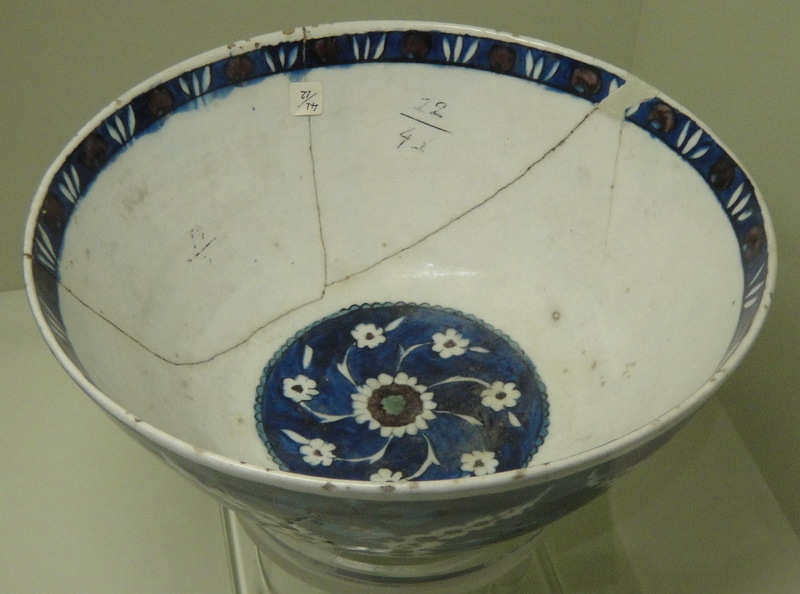 As the cities grew, both Muradiyes became located downtown; but the dramatic shrinkage of Edirne in modern times (from perhaps 250K in 1600s to 20K today) means that the Edirne Muradiye once again lies outside the city walls. 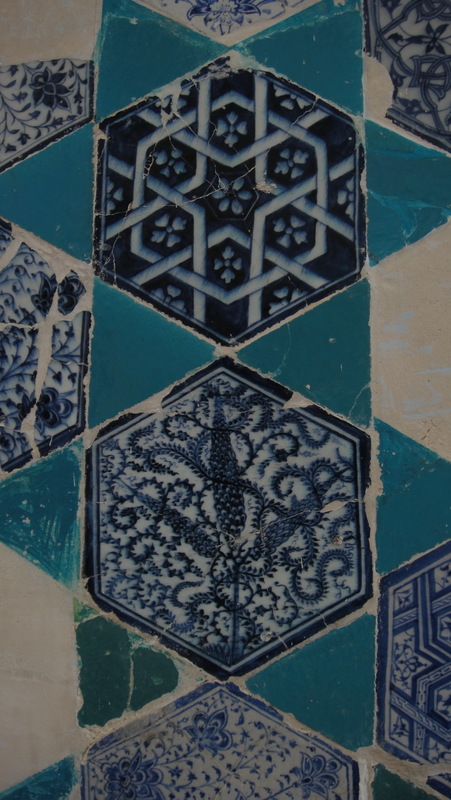 One reaches it via a dusty road with a few low lying buildings, an itinerant vendor selling fresh cheese out of a donkey cart, old men playing backgammon in the shade of a weeping willow. 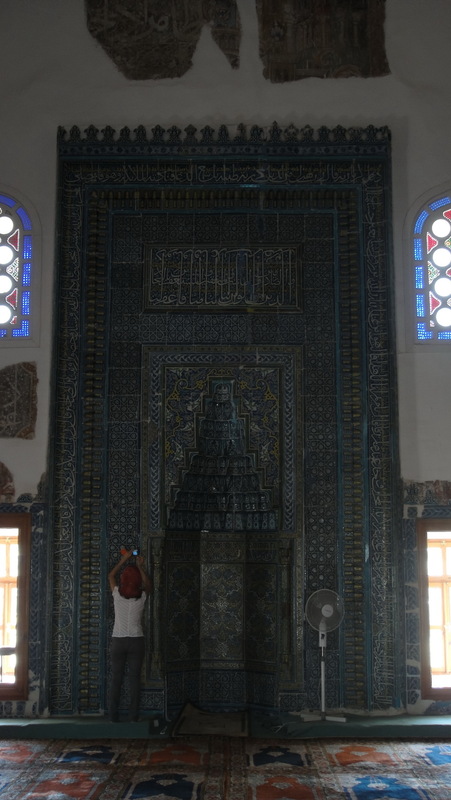 The mosque is locked, but in the summer the hoca gives religion lessons to seven ragged gypsy children; he lets you in and leaves you alone to do all the photographing and sketching you want; and if you speak two words of Turkish, he’ll treat you to the sweets from his lunchbox. 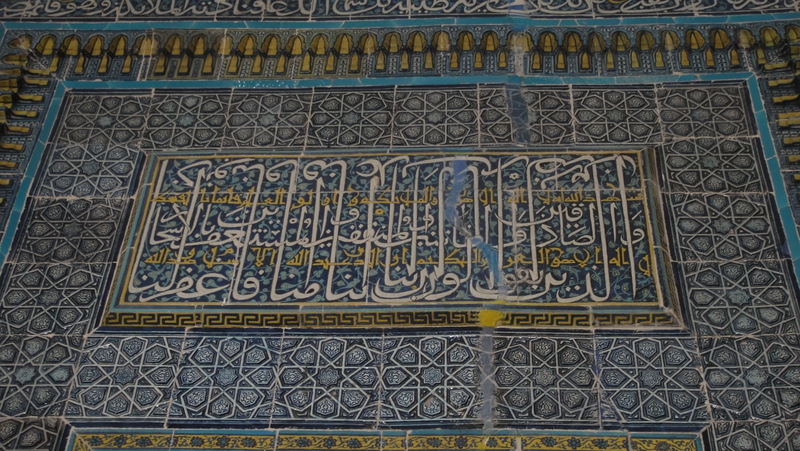 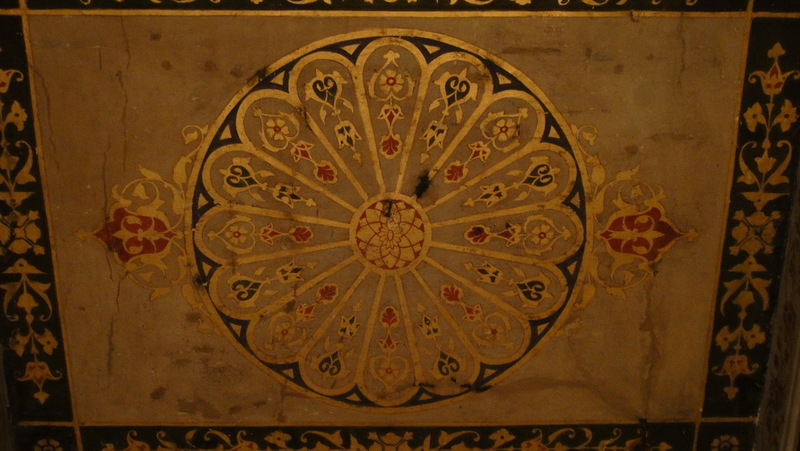 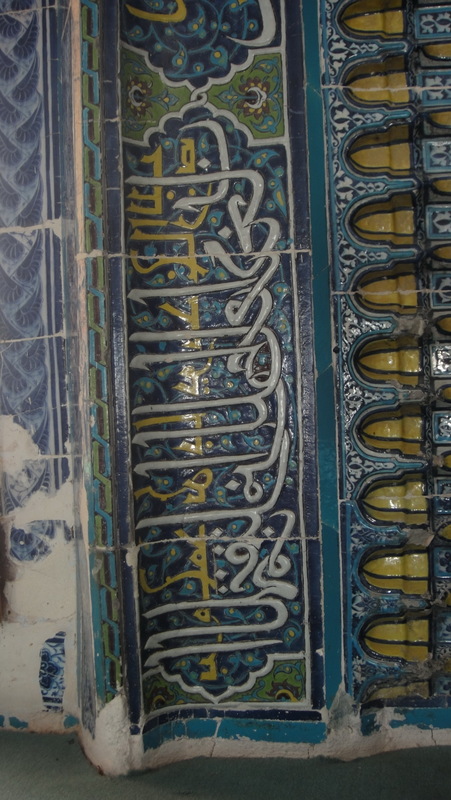 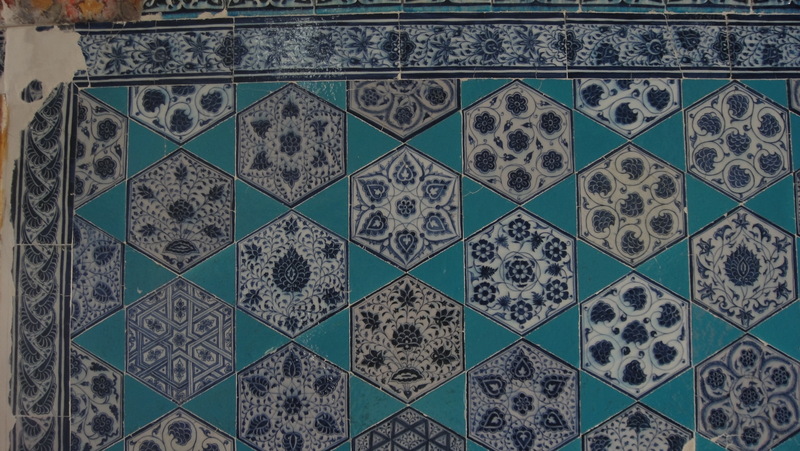 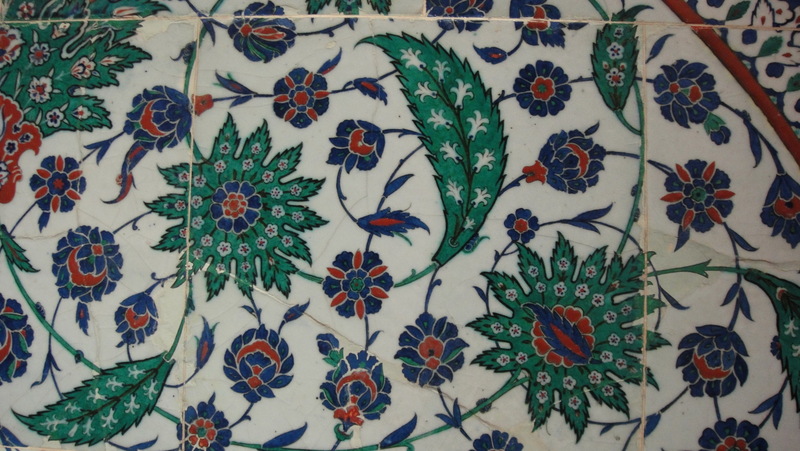 The tiles of the Edirne Muradiye are very special. 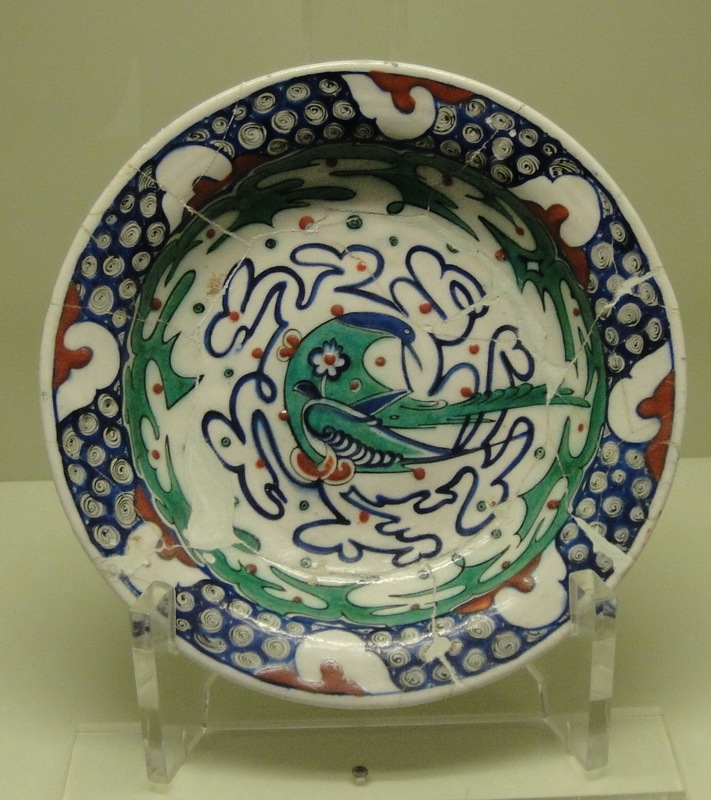 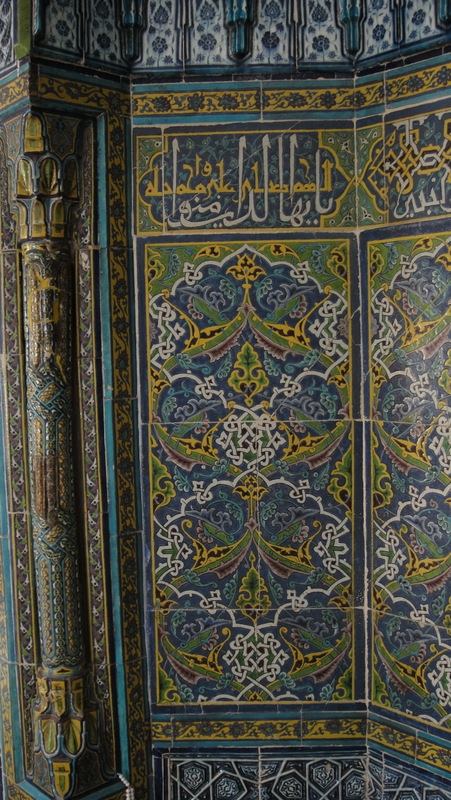 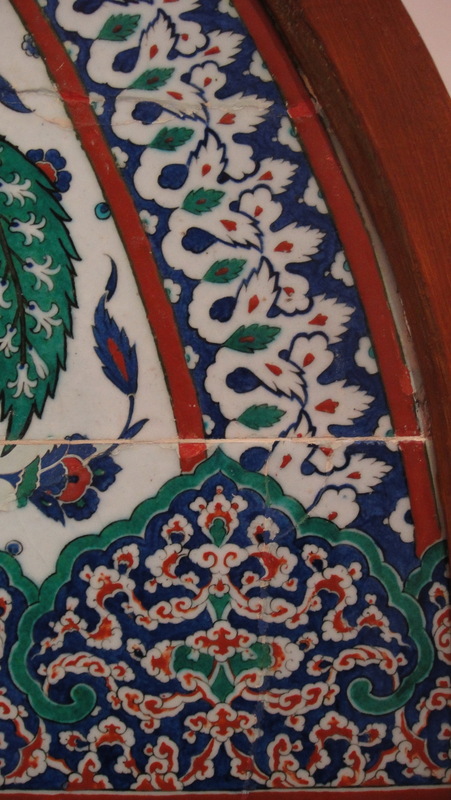 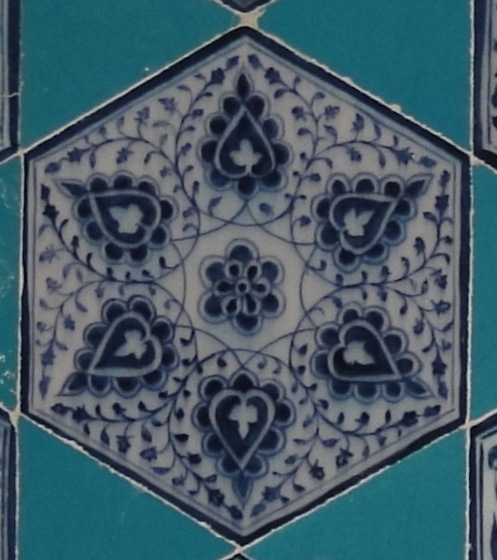 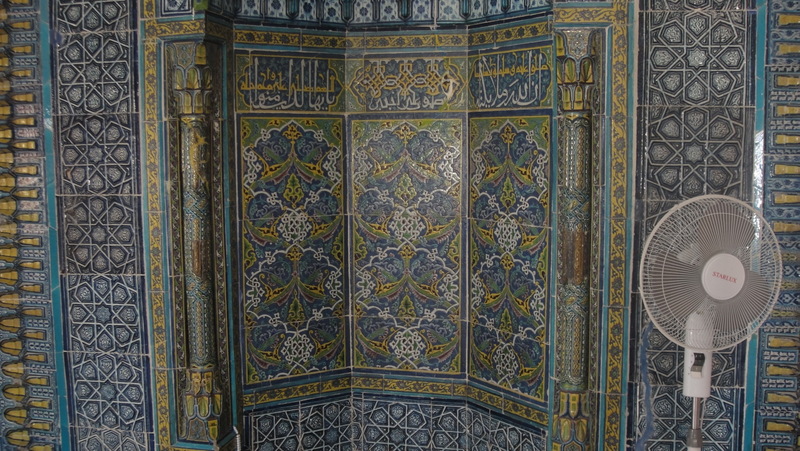 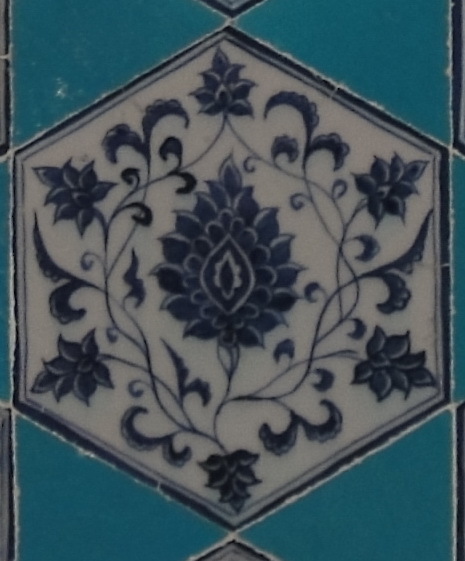 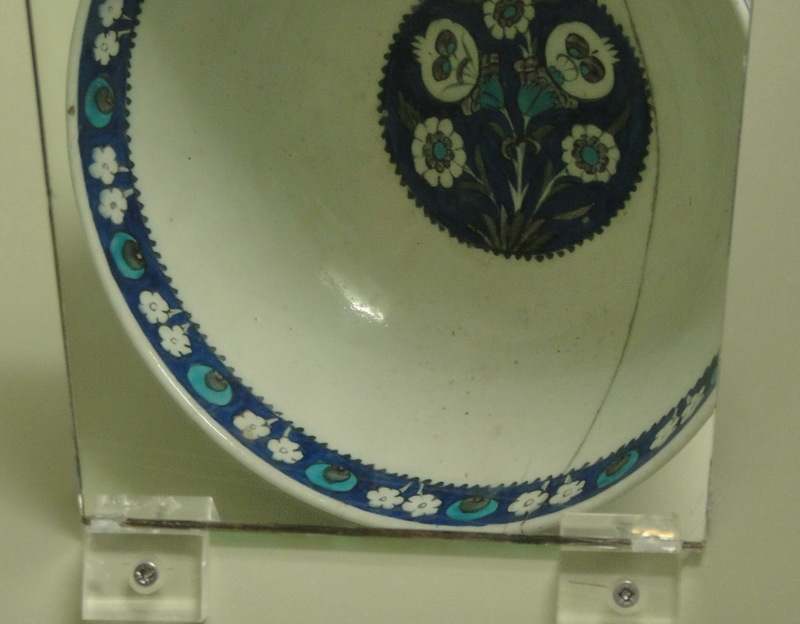 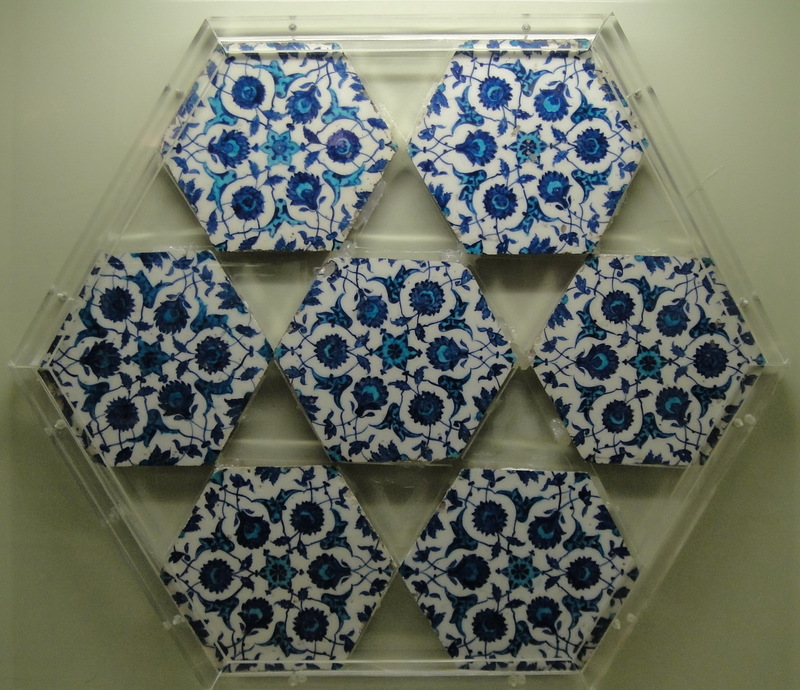 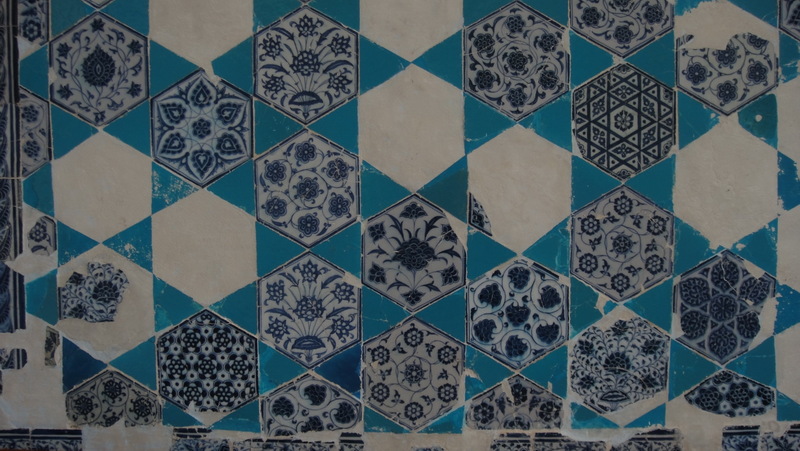 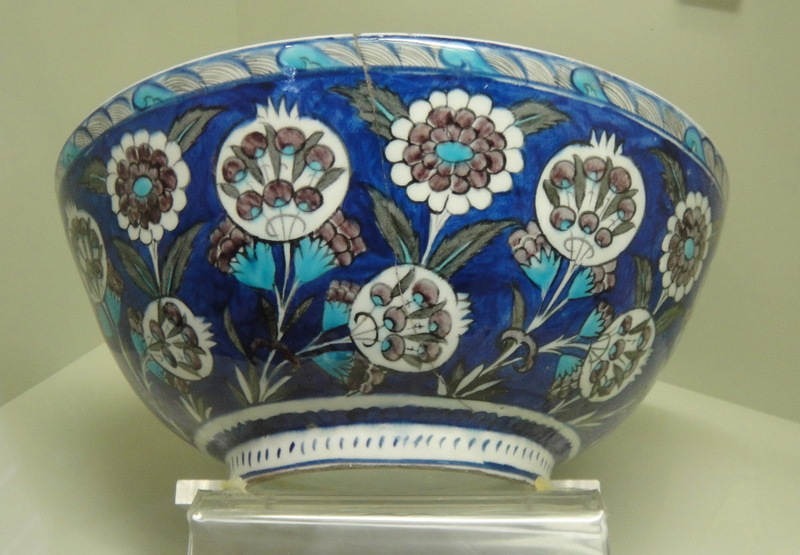 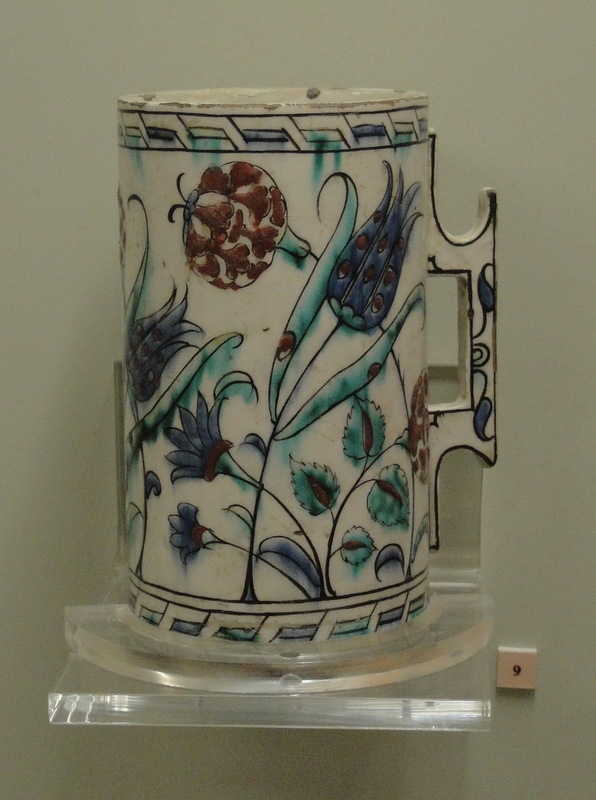 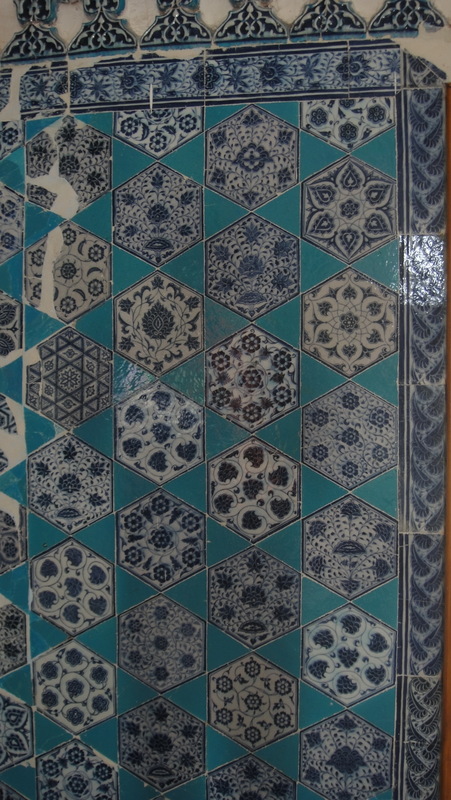 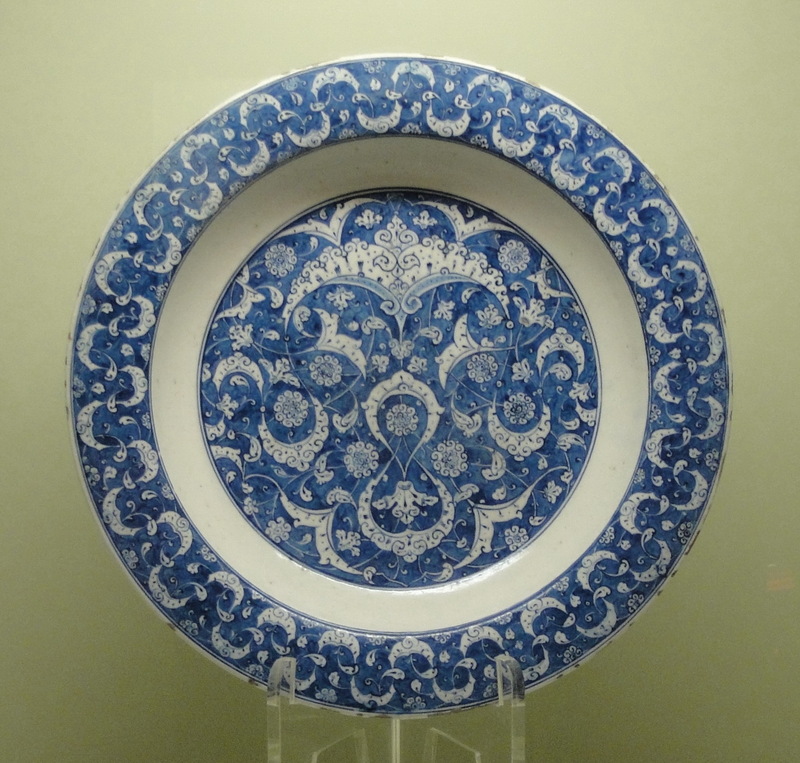 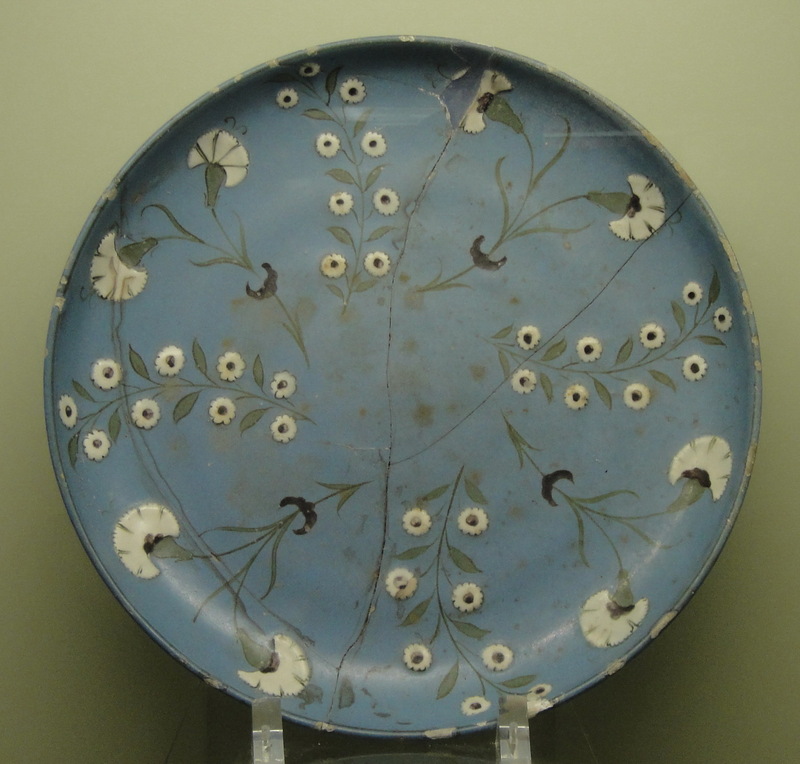 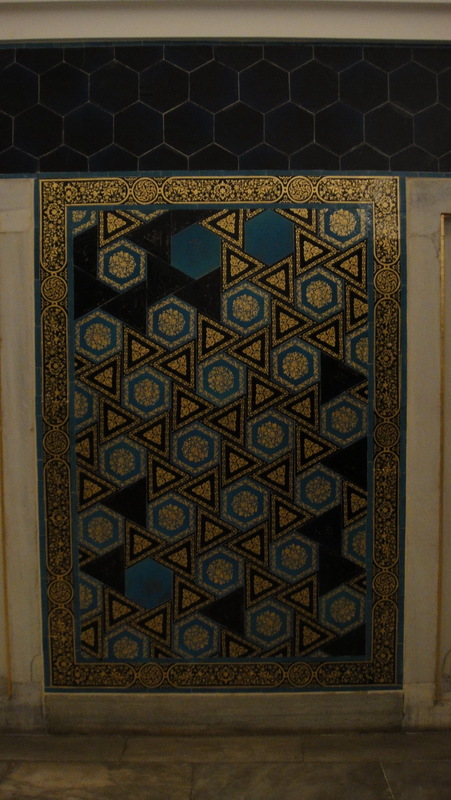 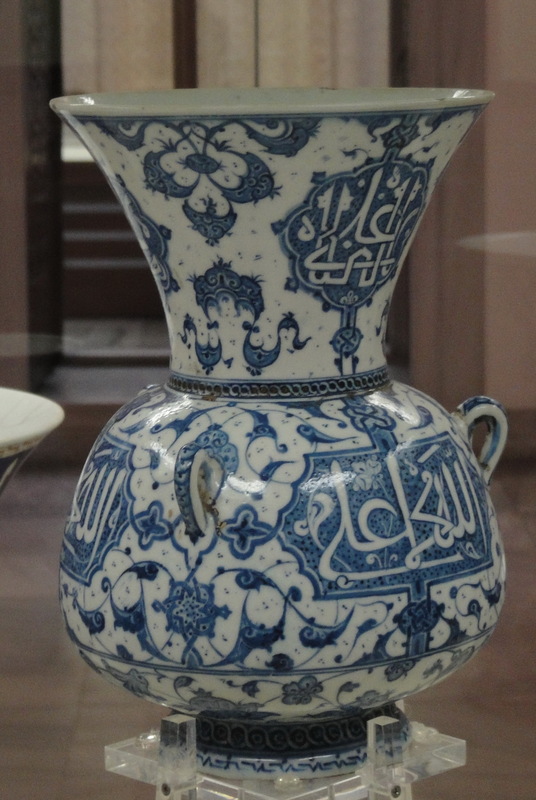 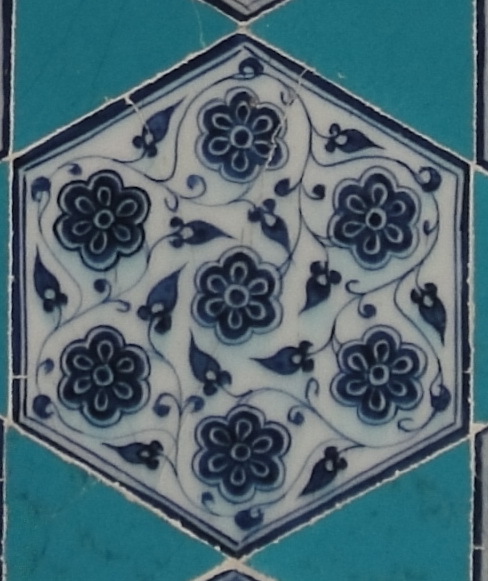 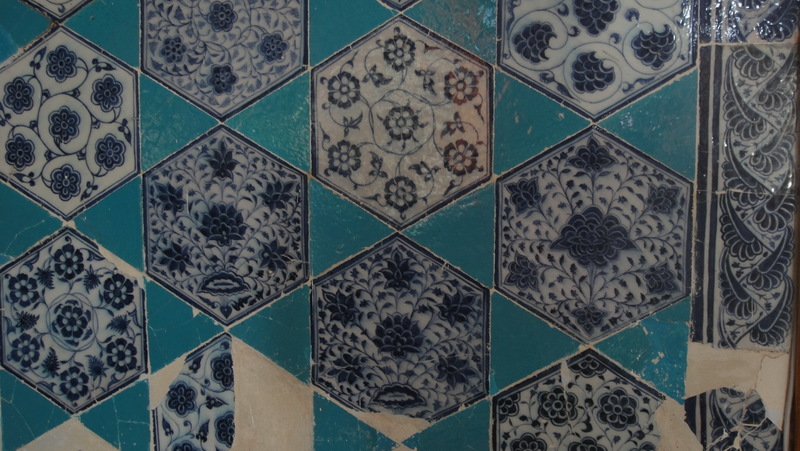 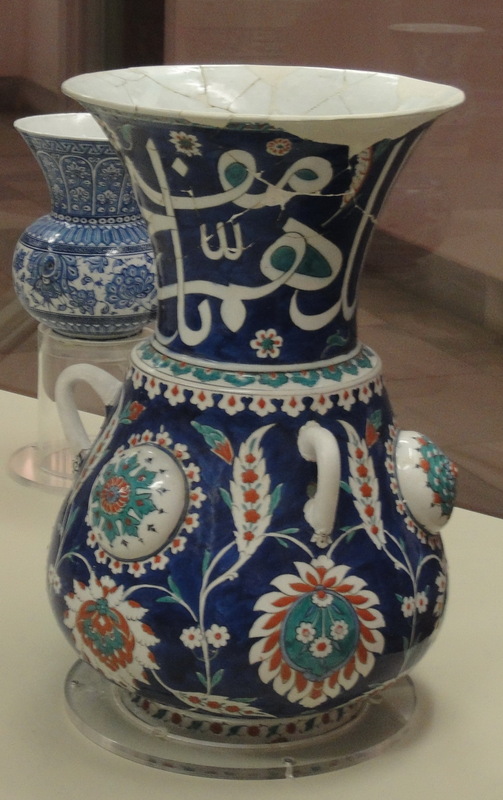 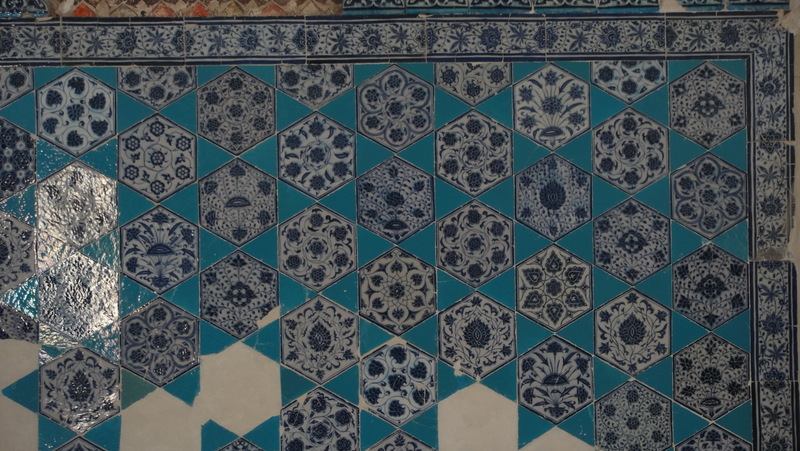 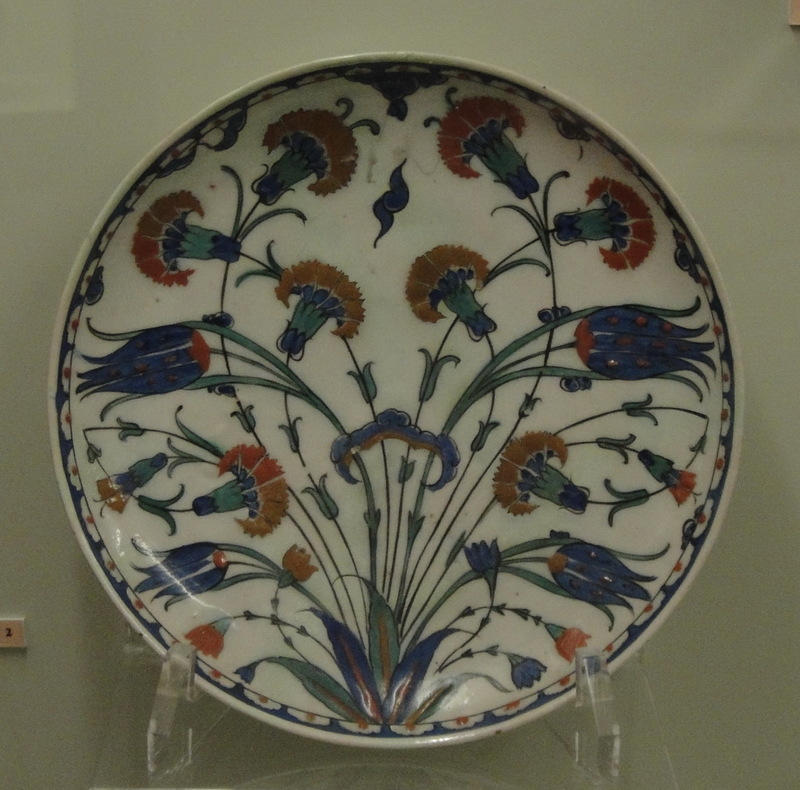 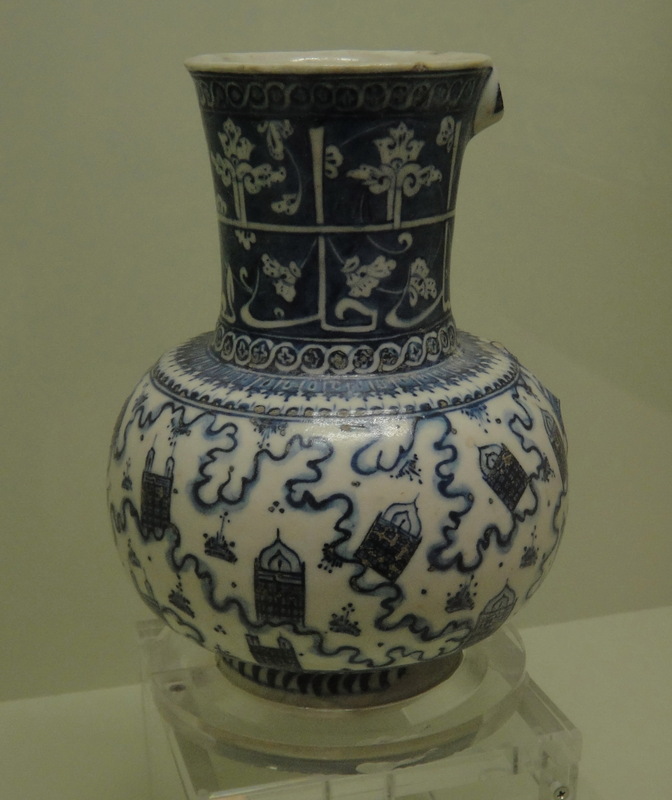 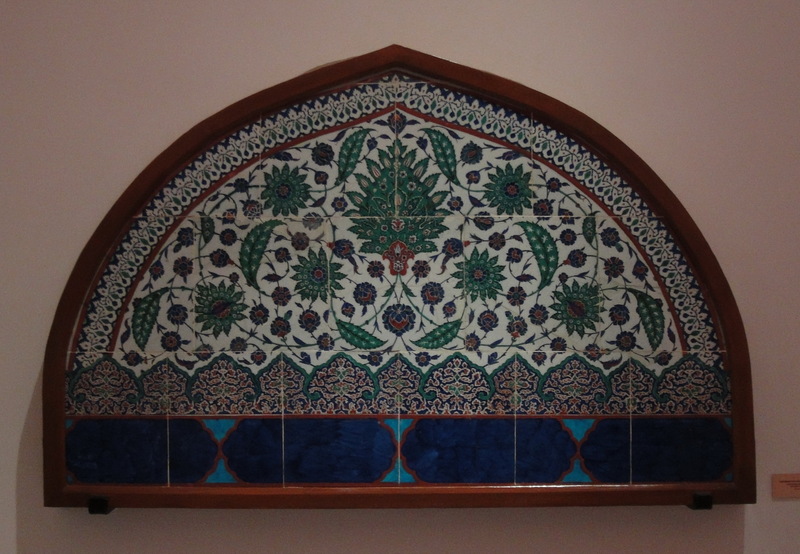 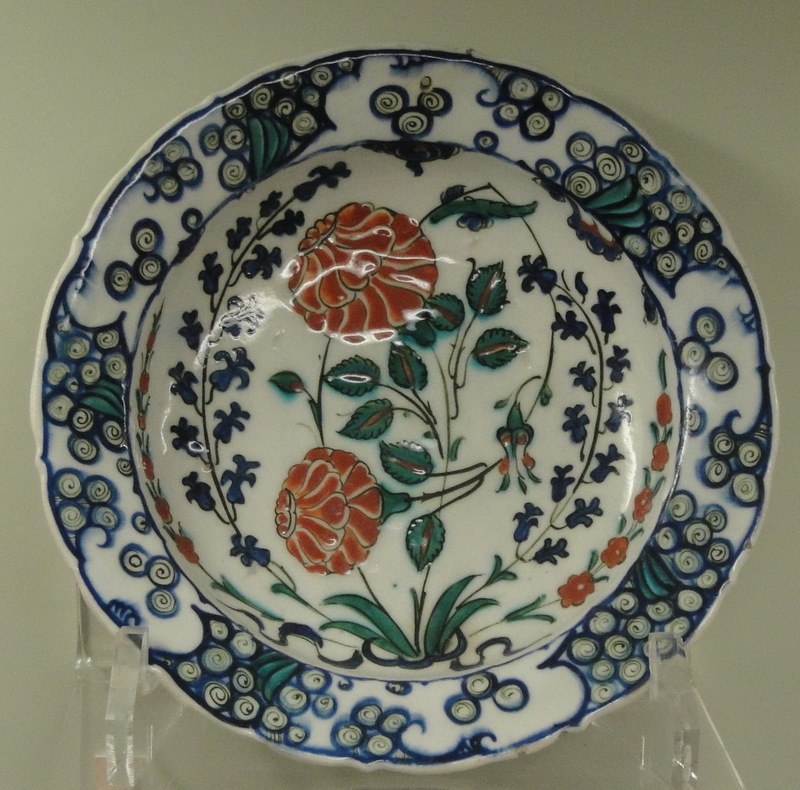 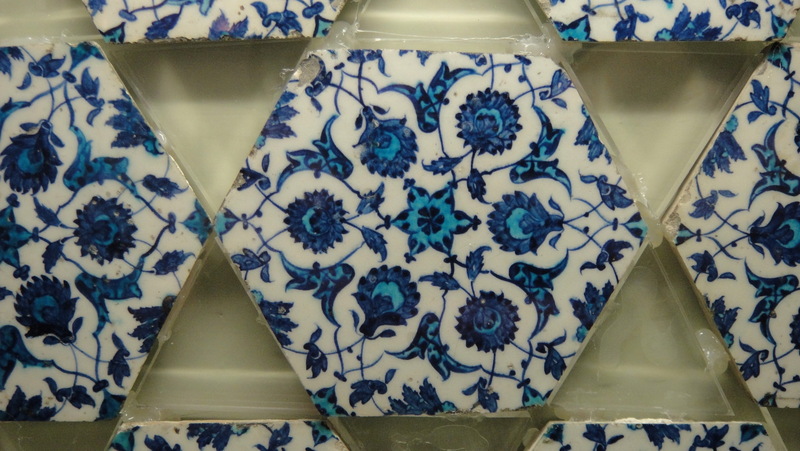 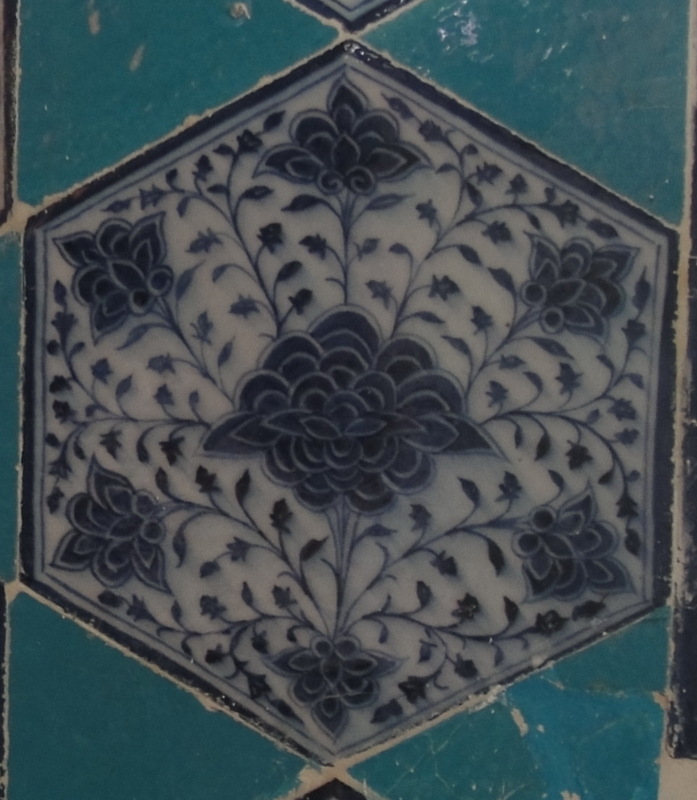 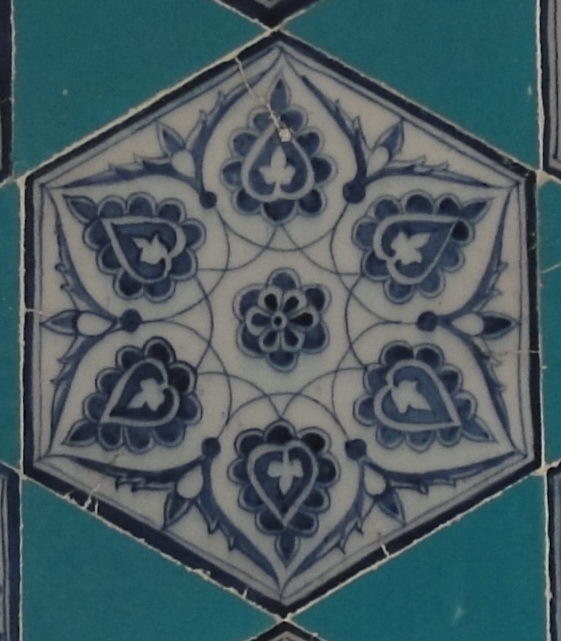 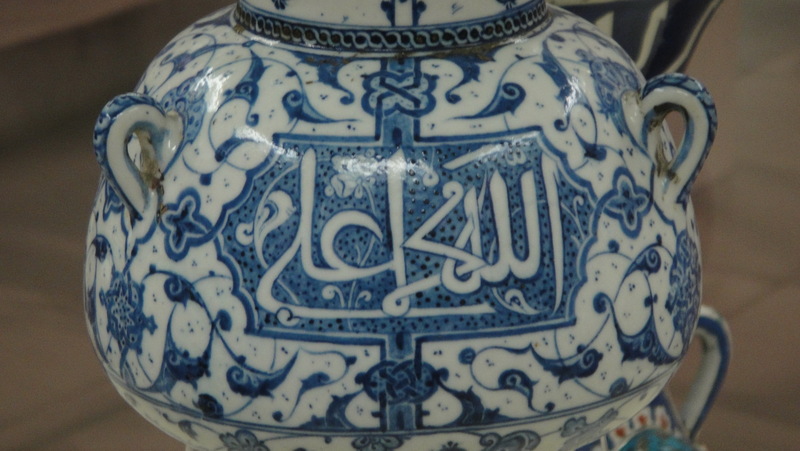 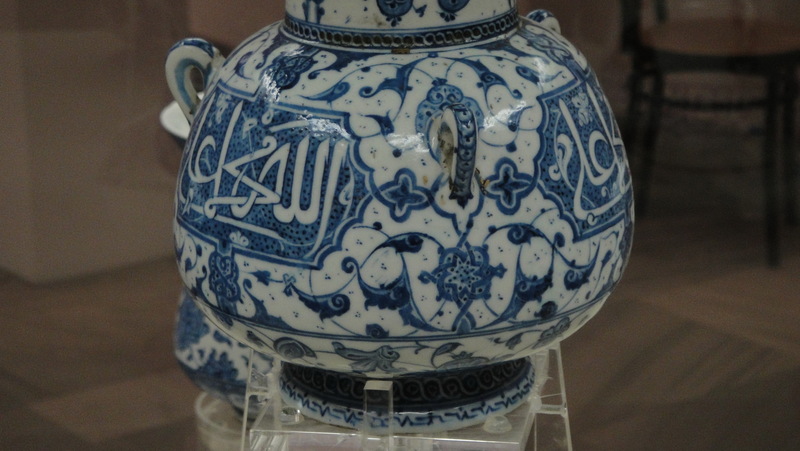 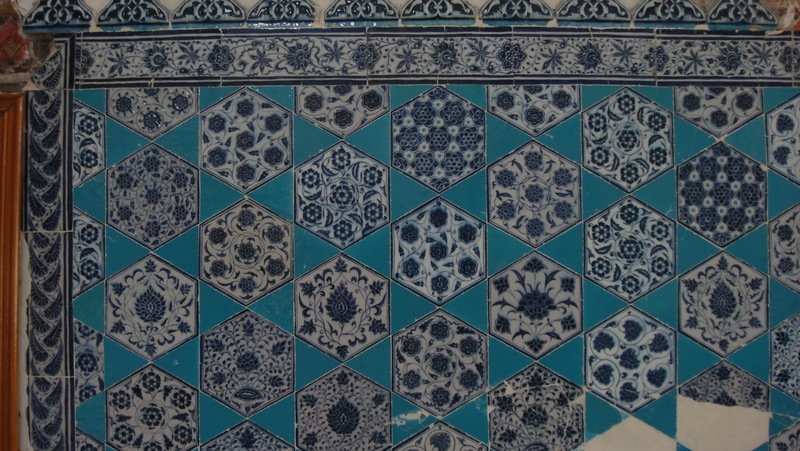 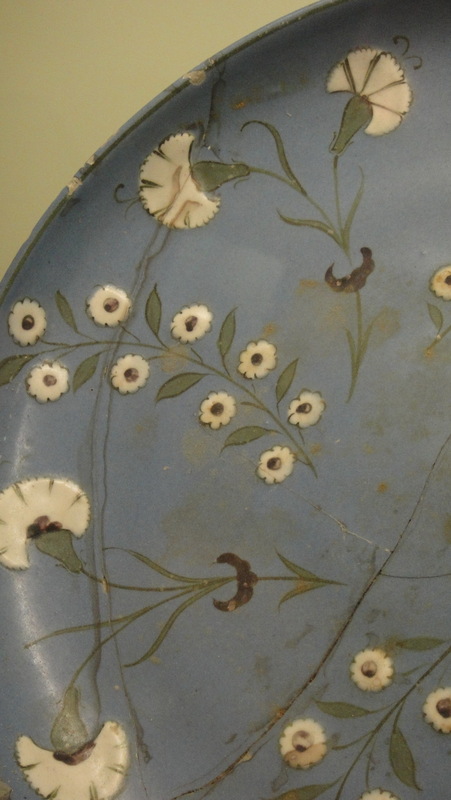 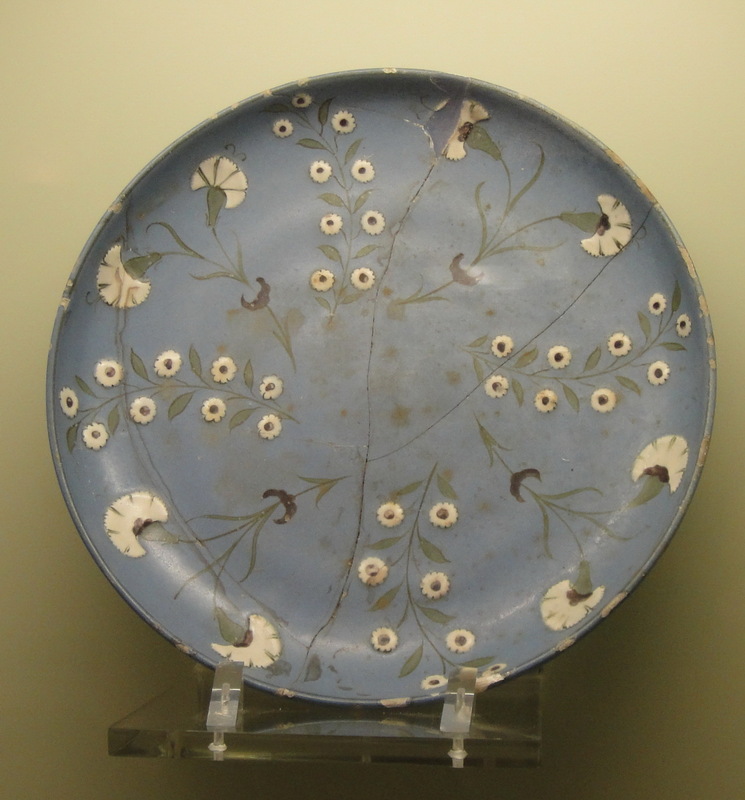 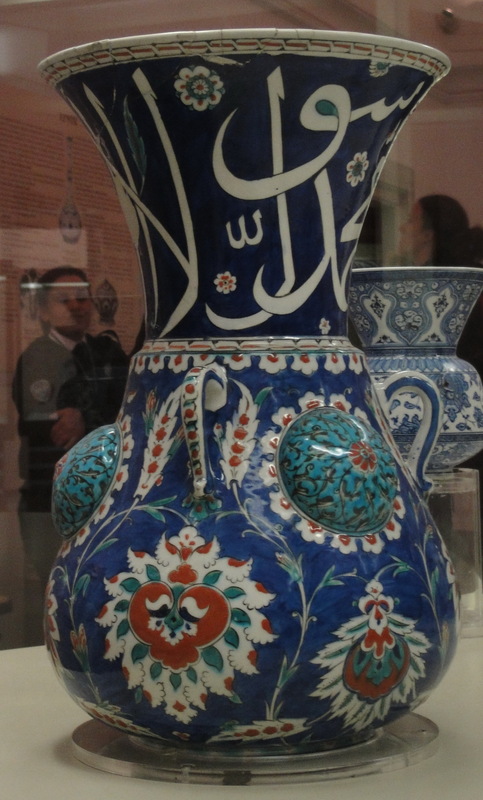 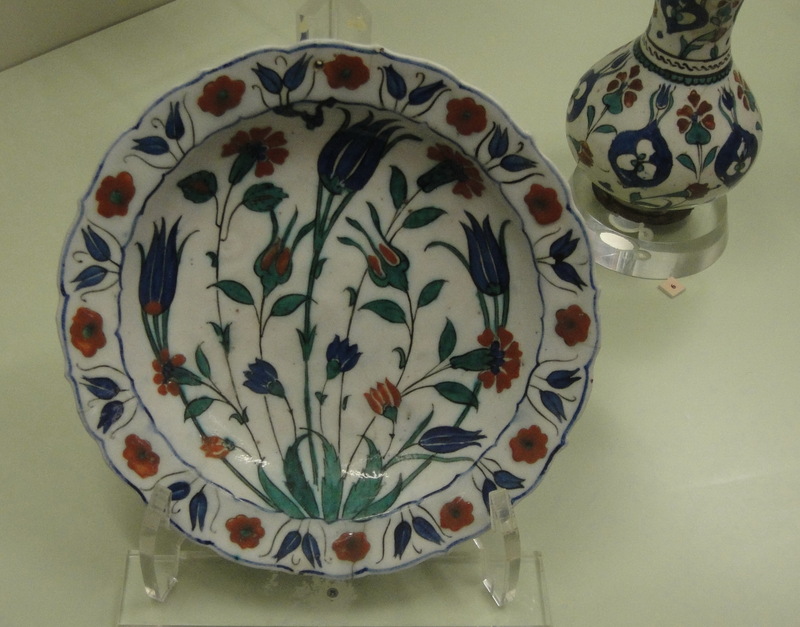 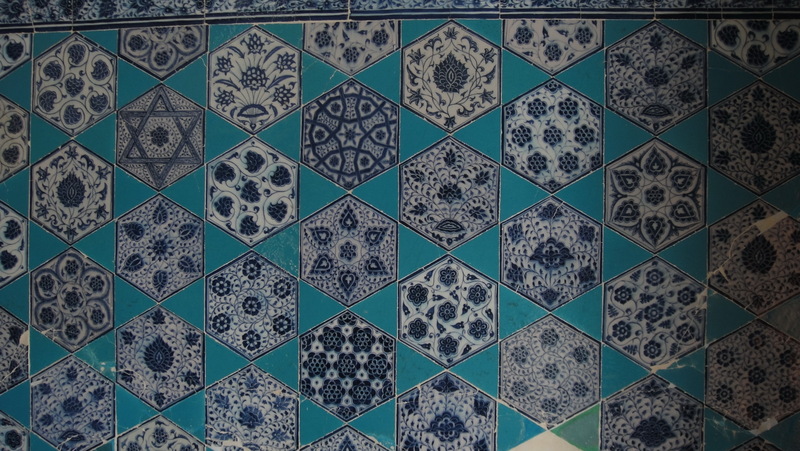 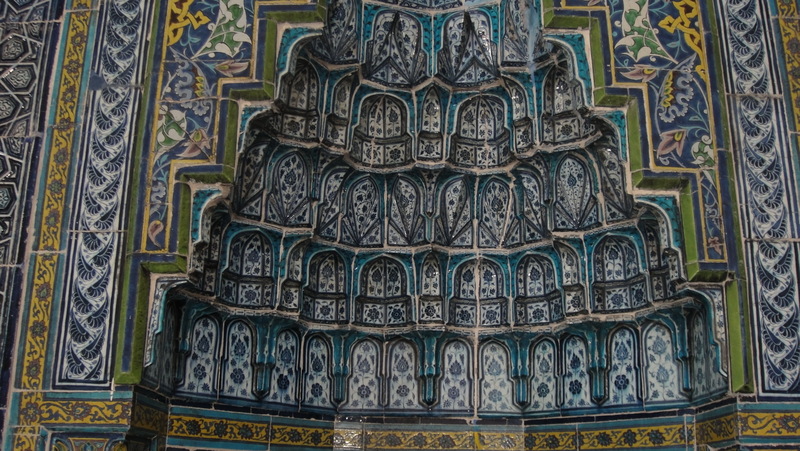 They were clearly painted by a master painter; not every one is unique – there are several repeats – but most are; no similar Iznik tiles have been found anywhere else. 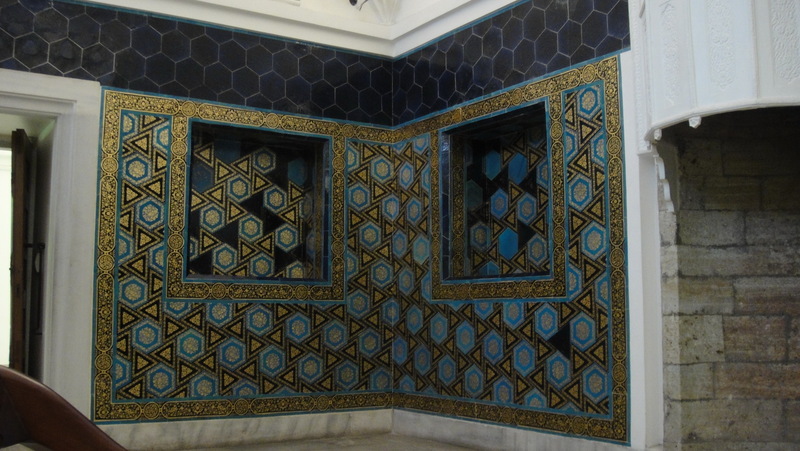 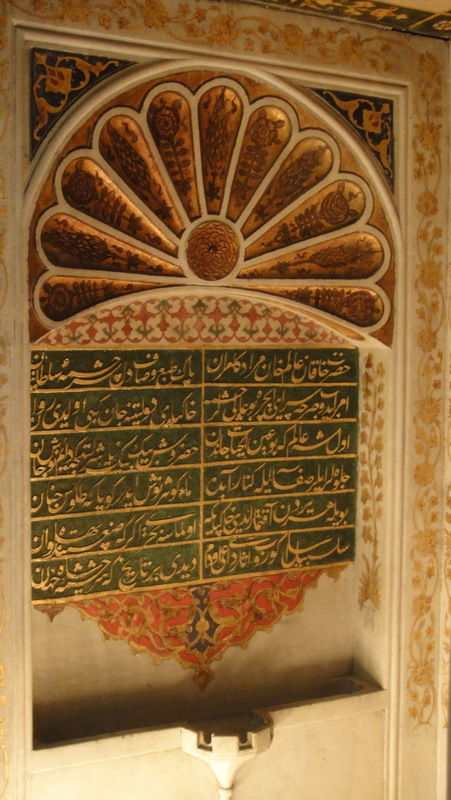 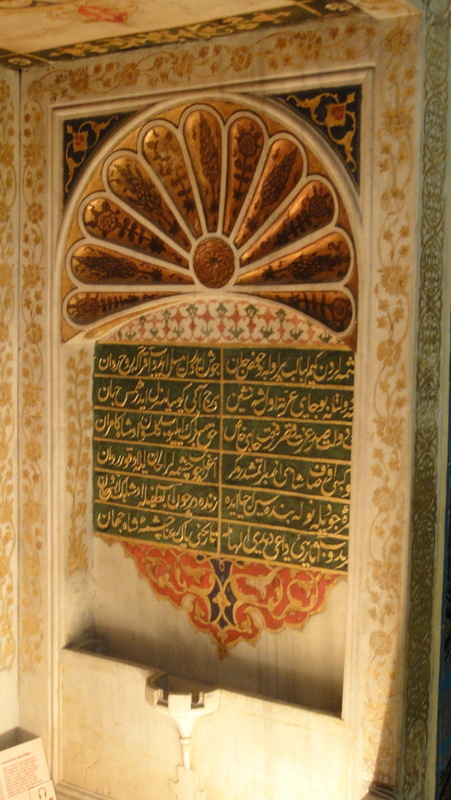 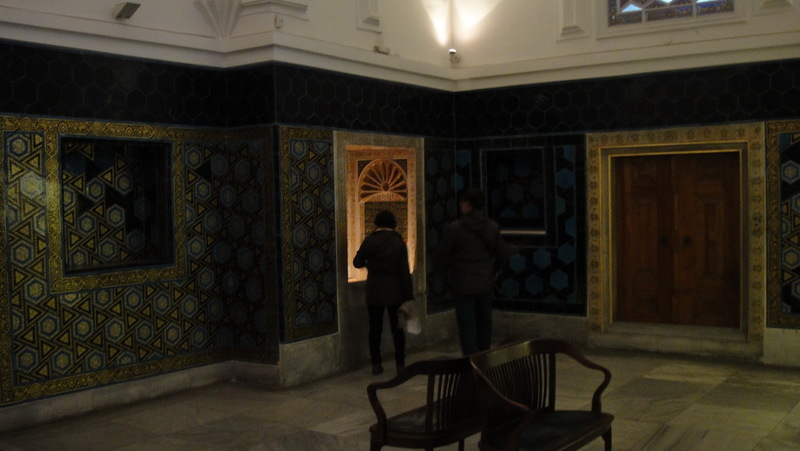 Istanbul gets very hot and very humid in the summer; the Northwest Room of the Çinili Koşk, once within the walls of Topkapi, was set up as a cool hiding place from the city’s summer heat. 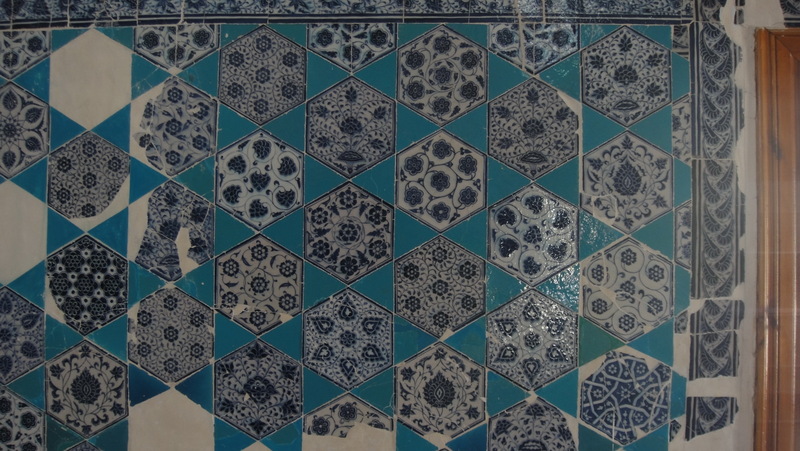 Windows and doors open North-West and North-East — the room never catches direct sunlight; and its walls have been decorated with dark blue tile — a pleasant rest for the eyes from the strong Mediterranean sun. 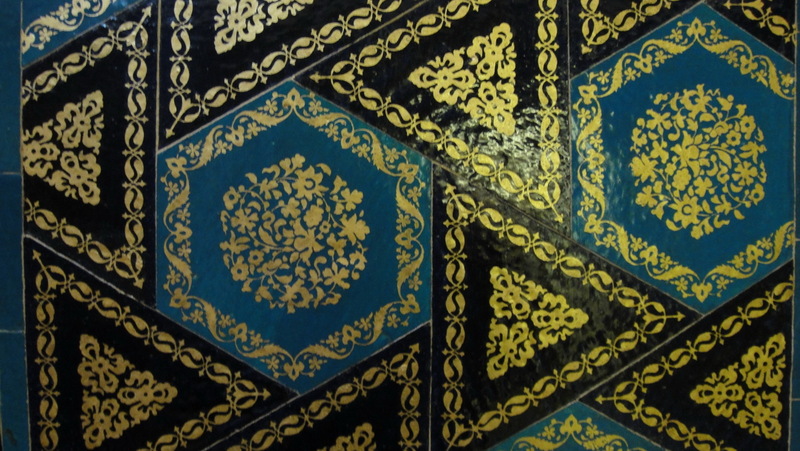 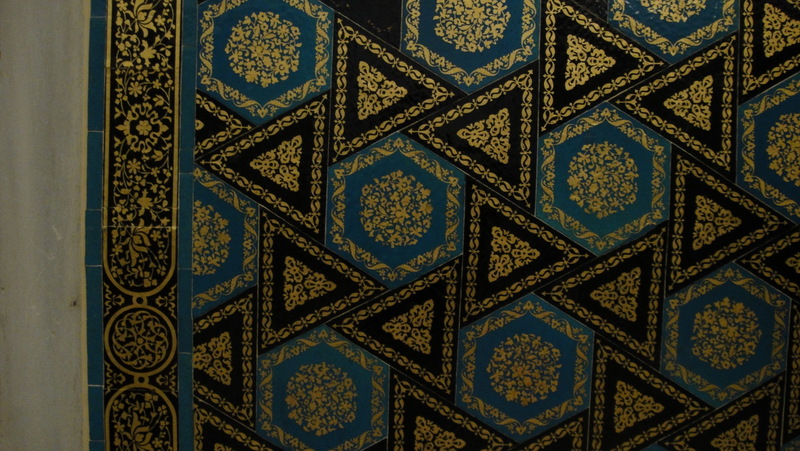 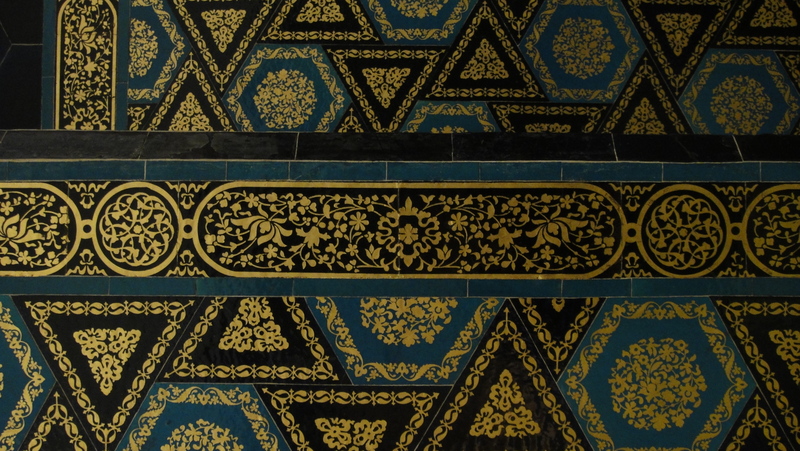 The tiles were fired then painted in gold — a very lavish form of decoration since it does not last. 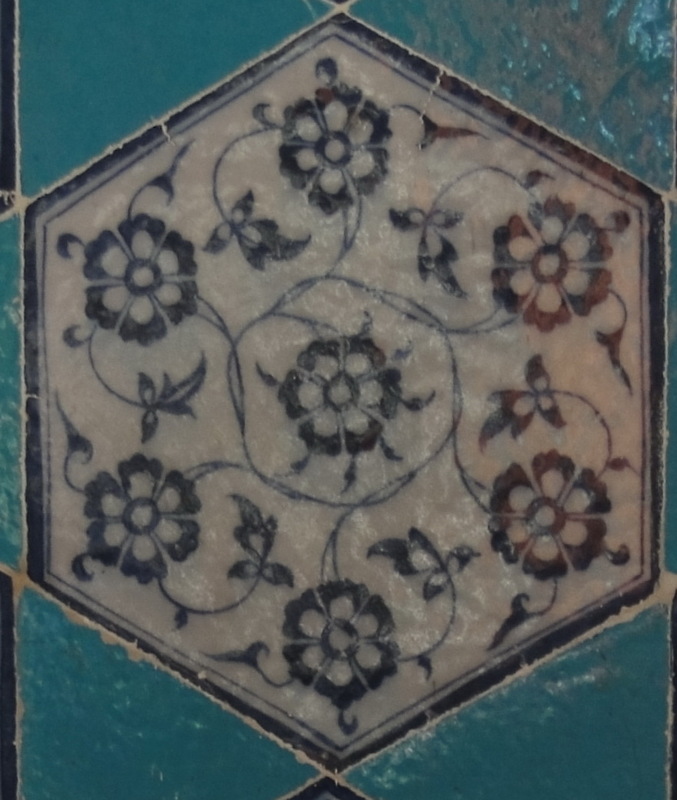 A recent restoration wisely repainted only those tiles where gold had been completely lost, but left those which had only been partly worn untouched. 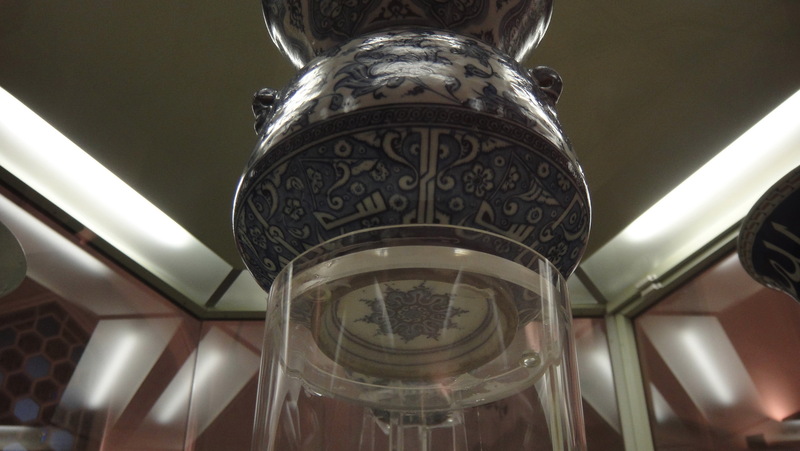 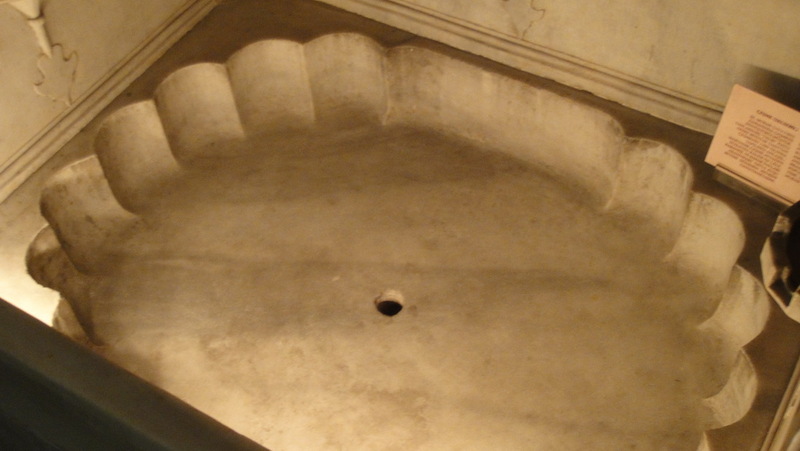 In 1590, a marble fountain had been set into the wall of the room to cool it further. 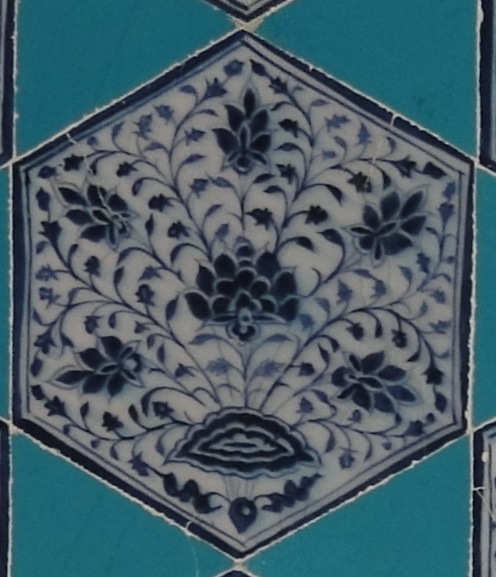 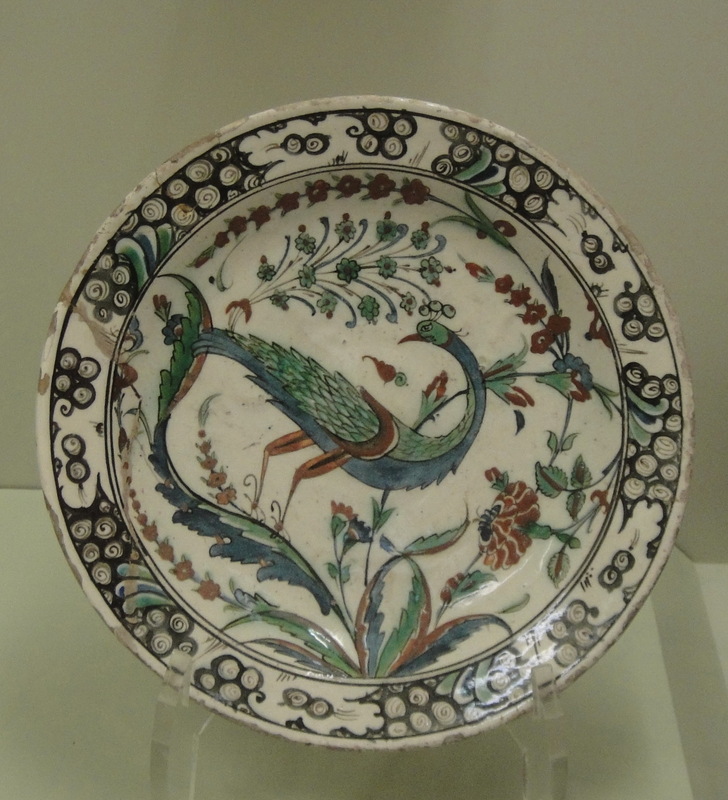 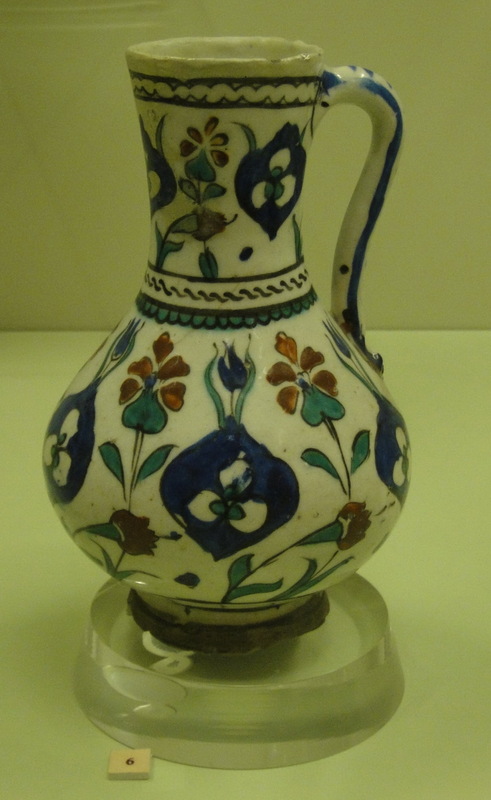 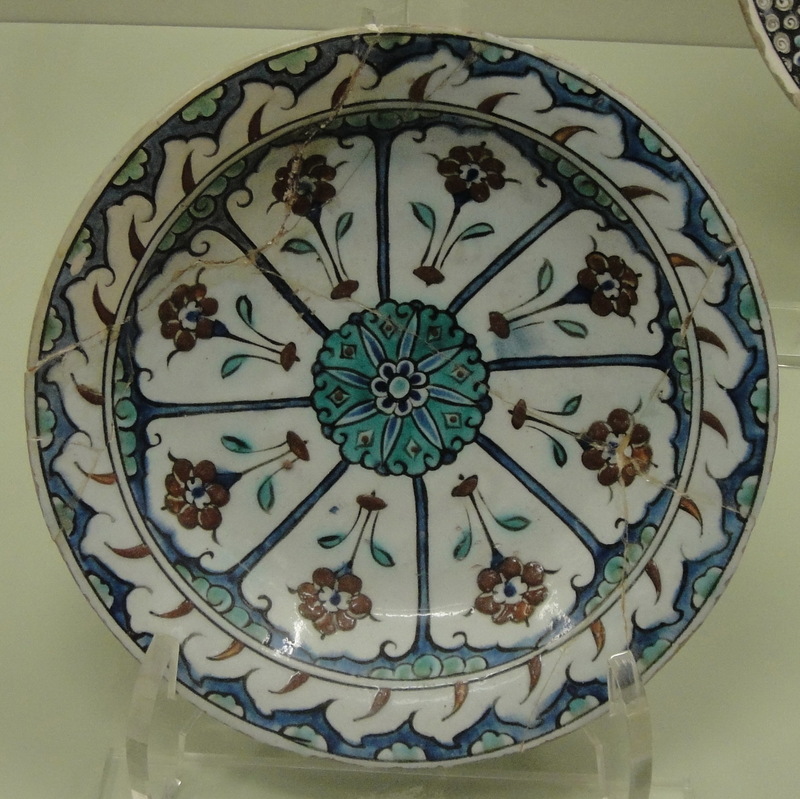 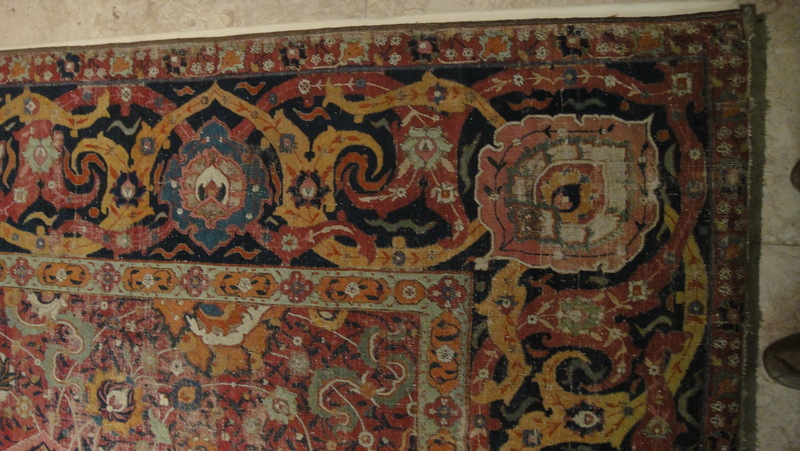 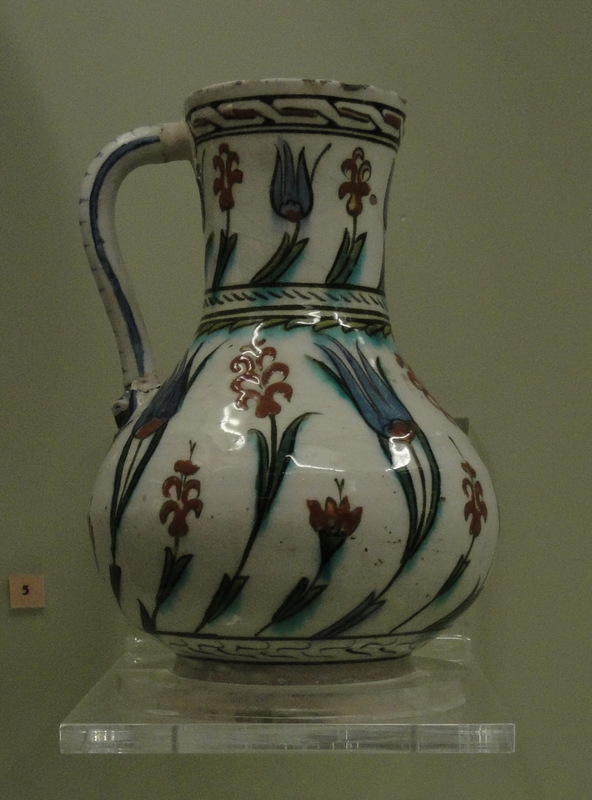 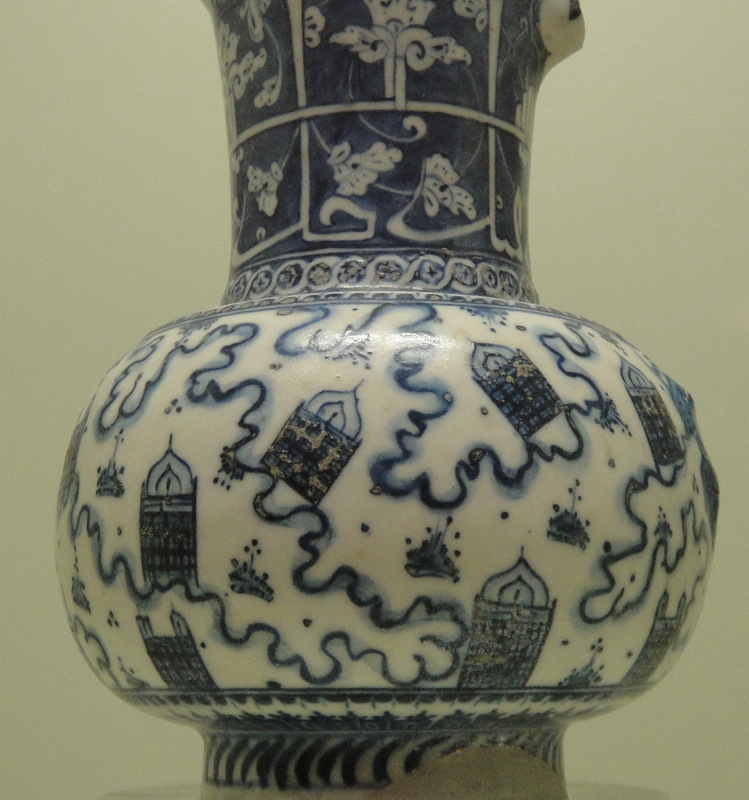 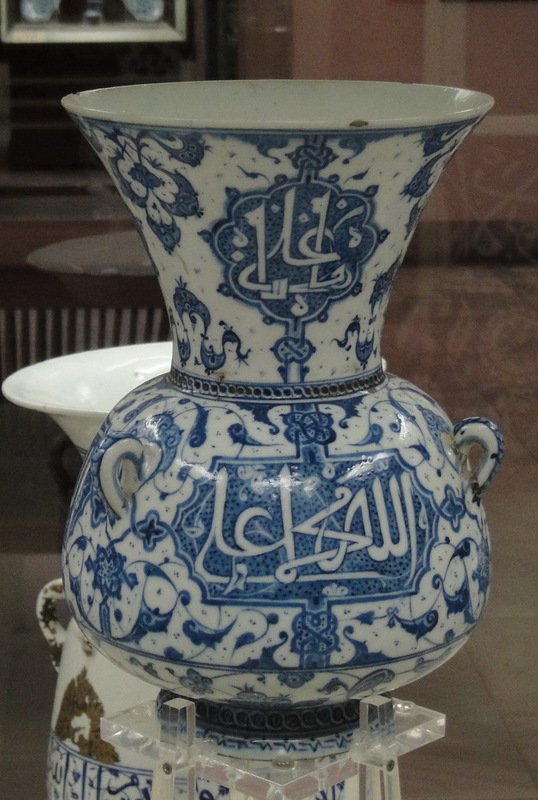 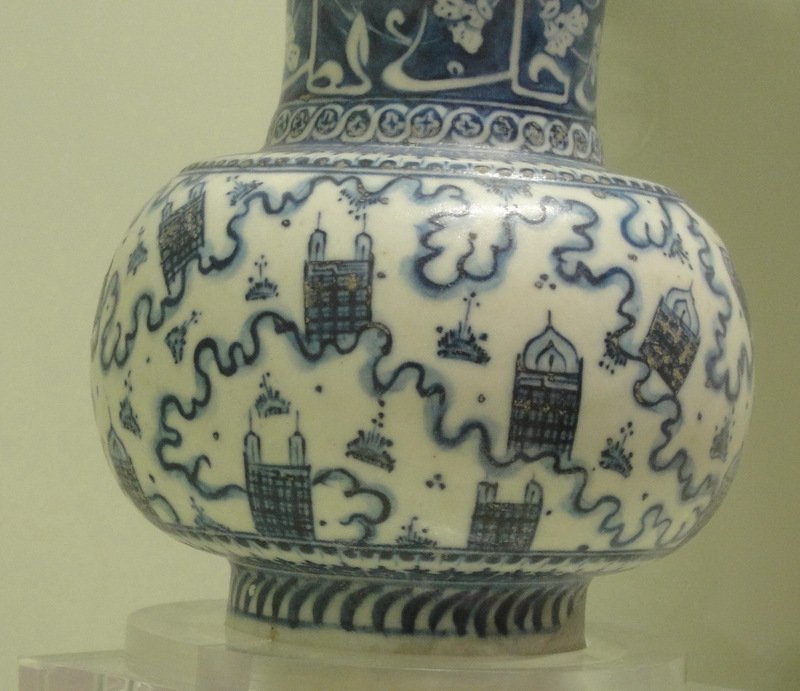 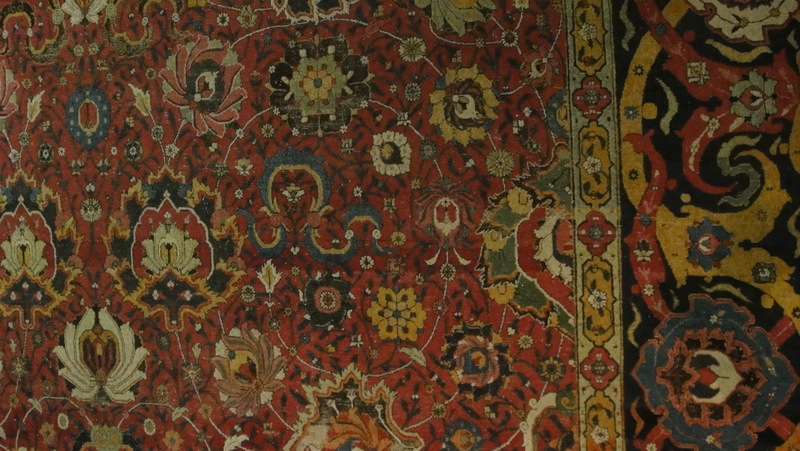 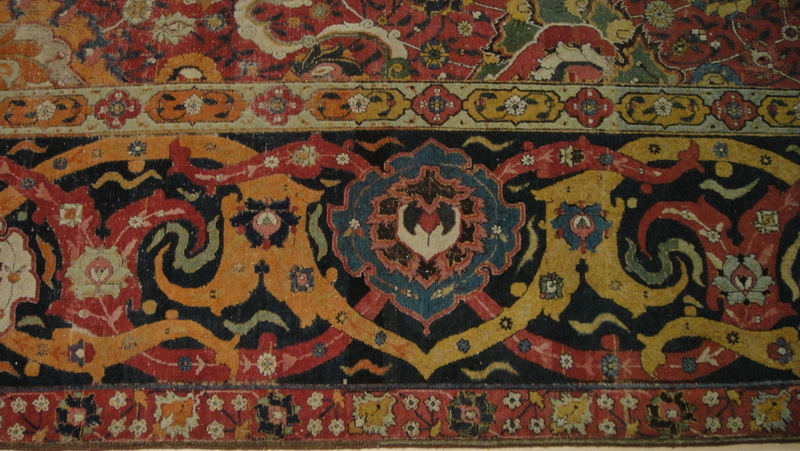 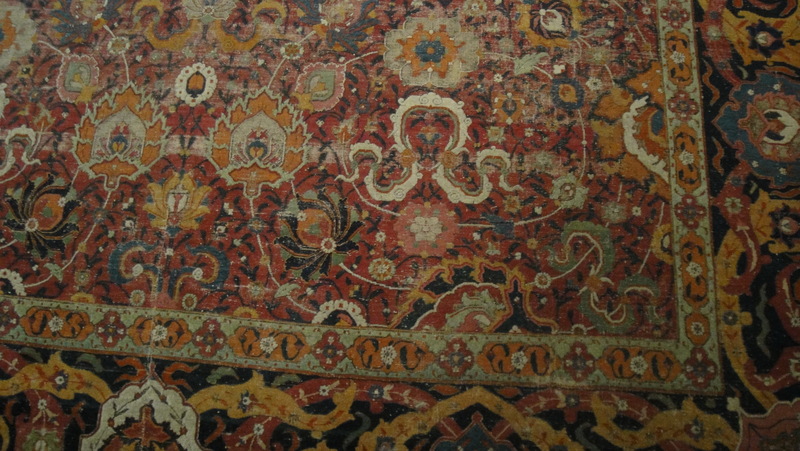 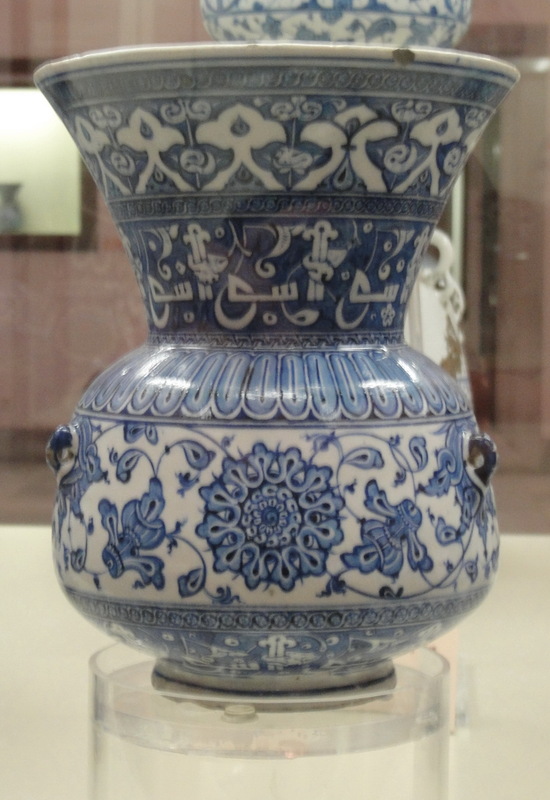 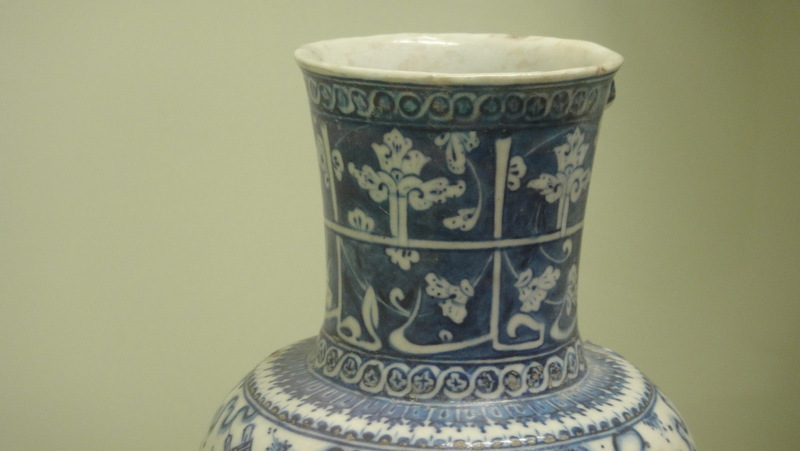 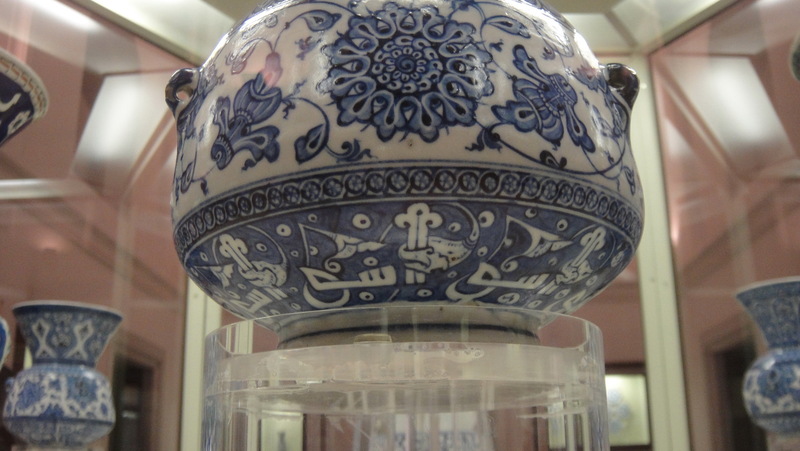 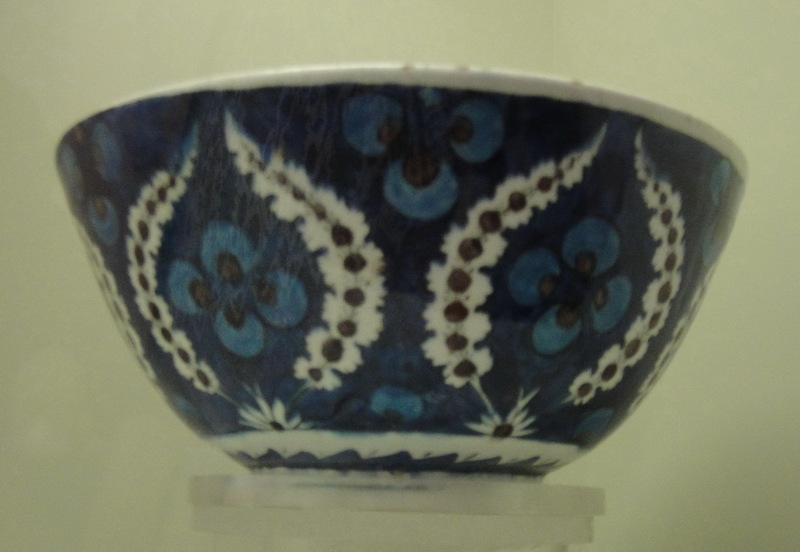 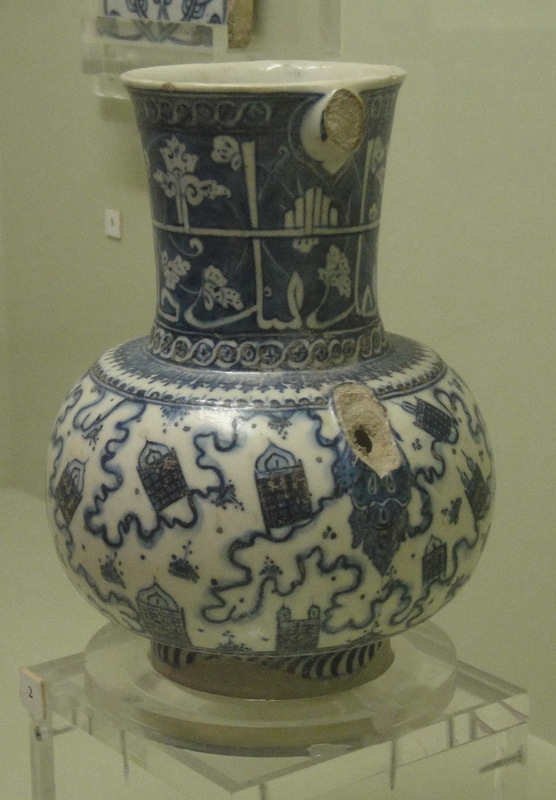 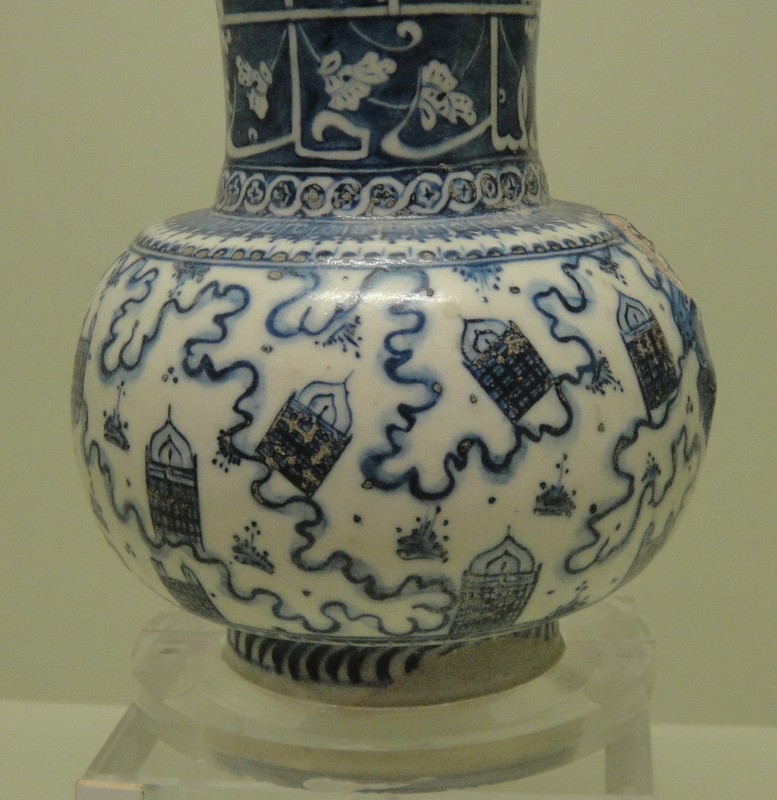 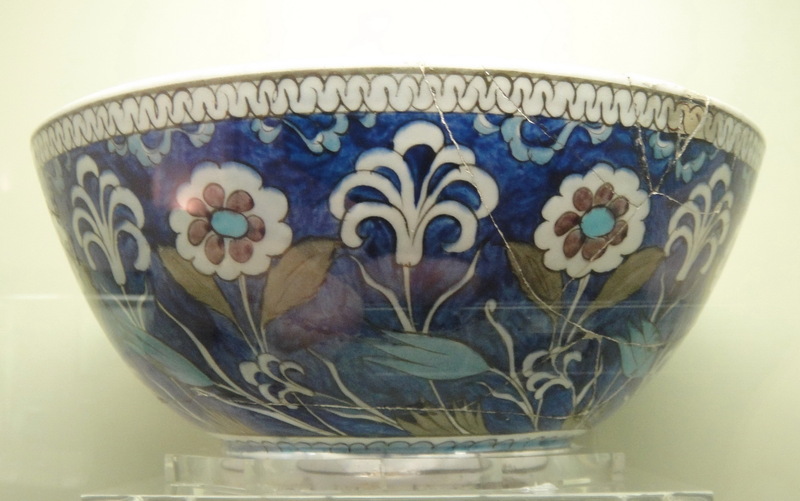 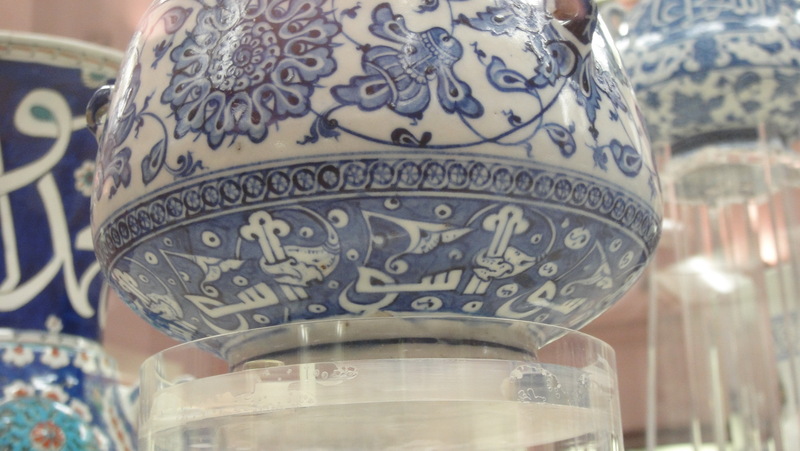 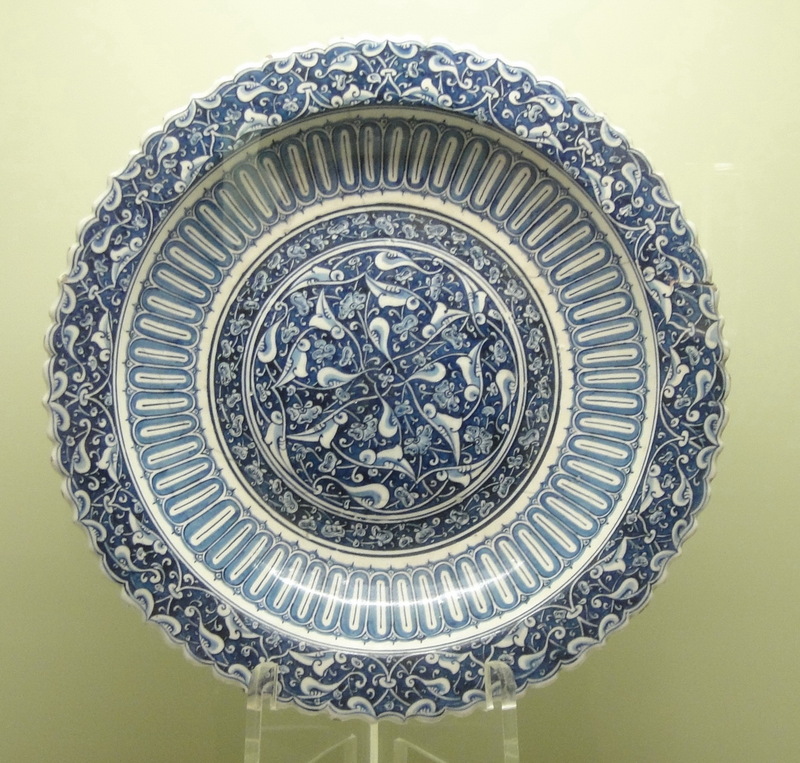 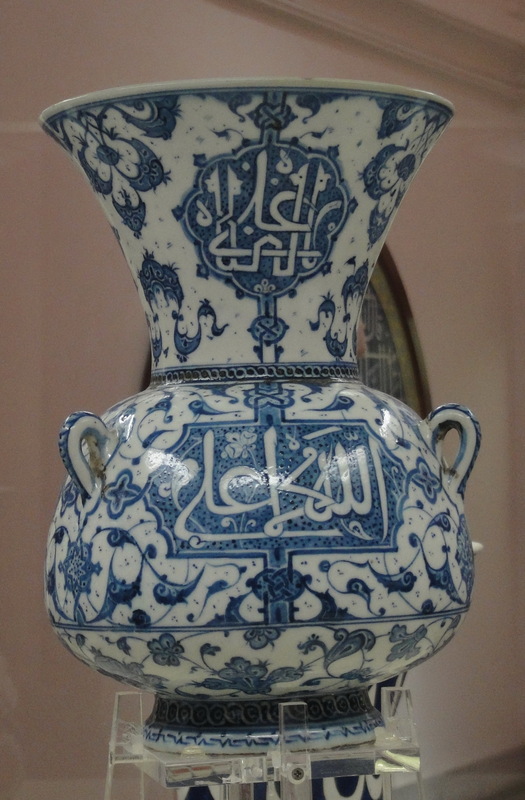 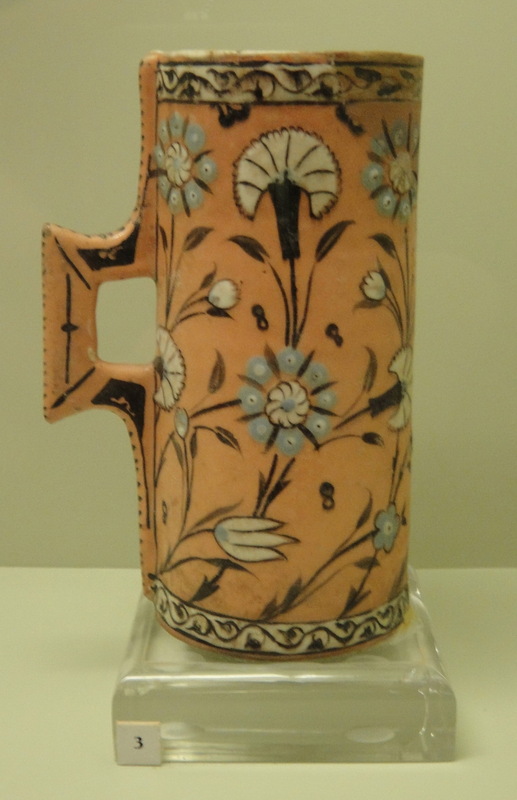 Isfahan/Isphahan, 16th or 17th century. 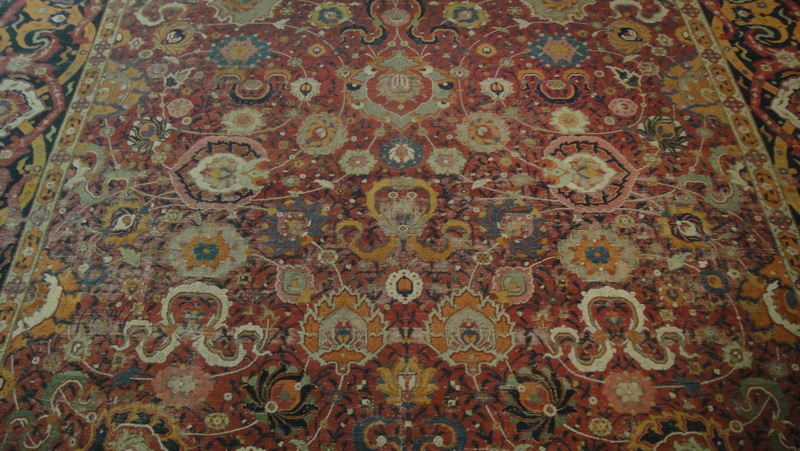 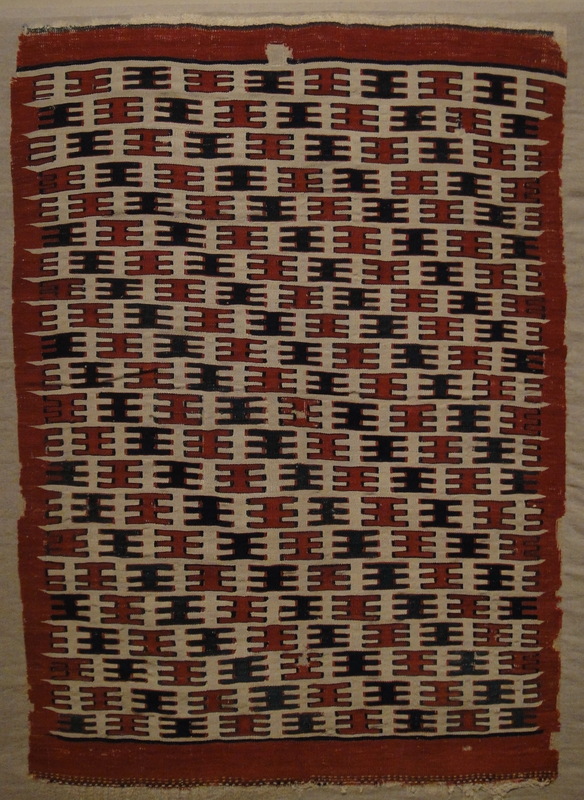 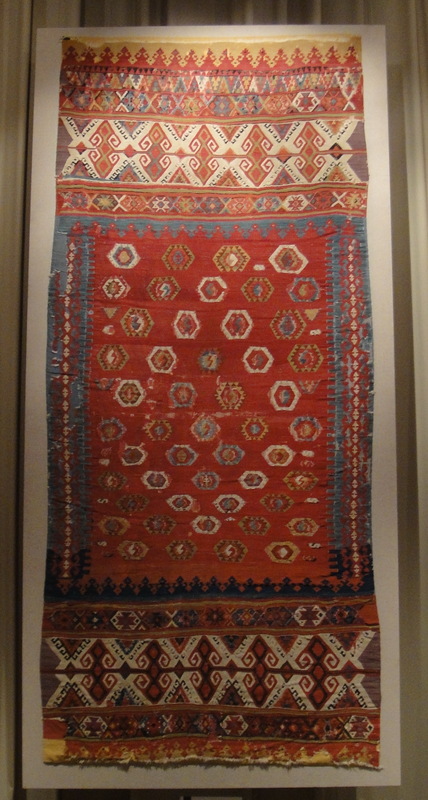 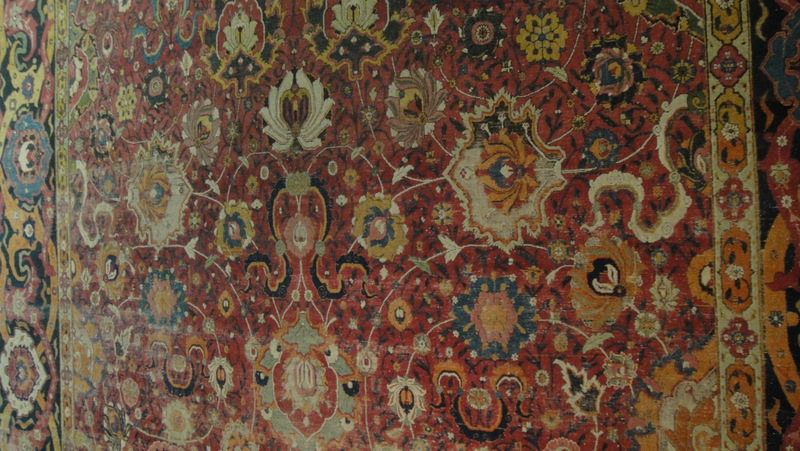 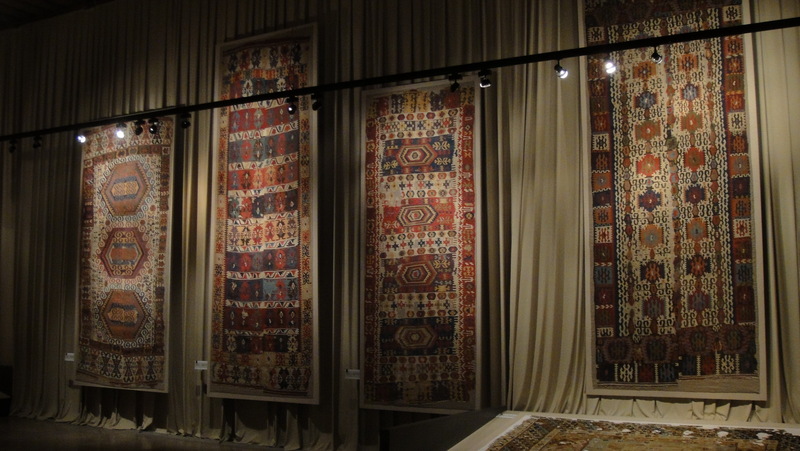 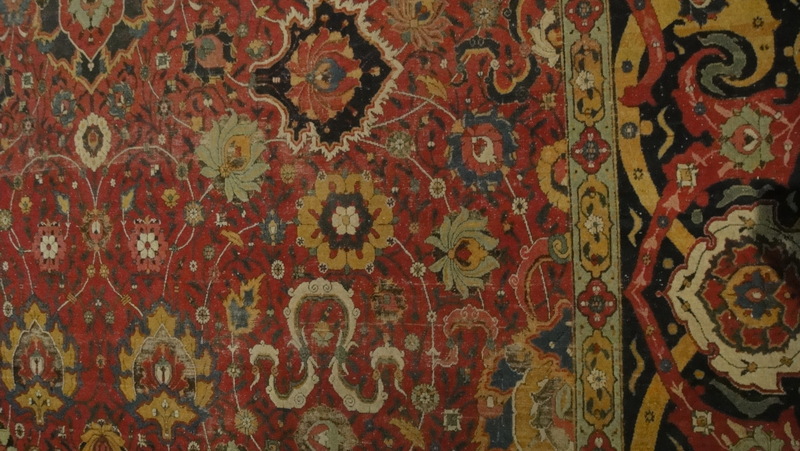 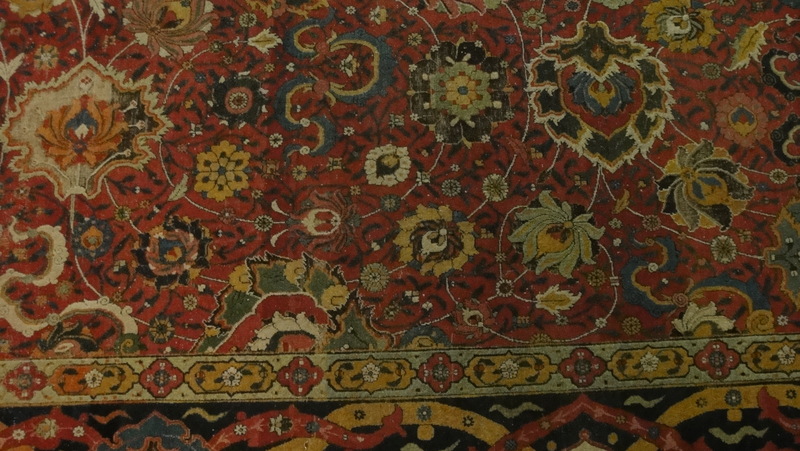 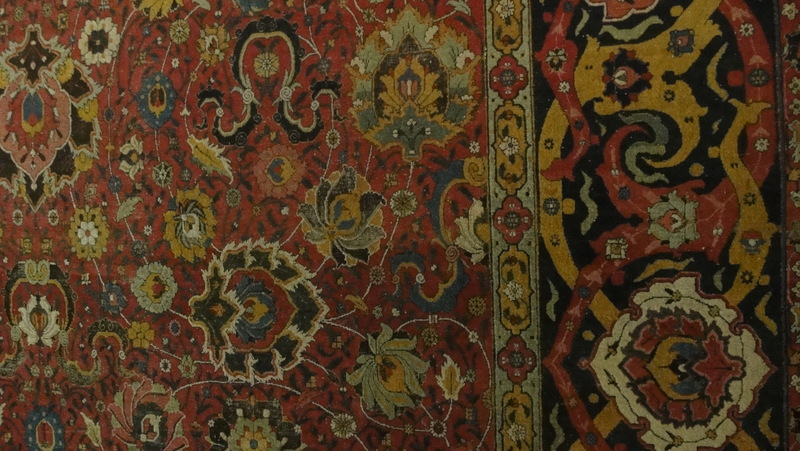 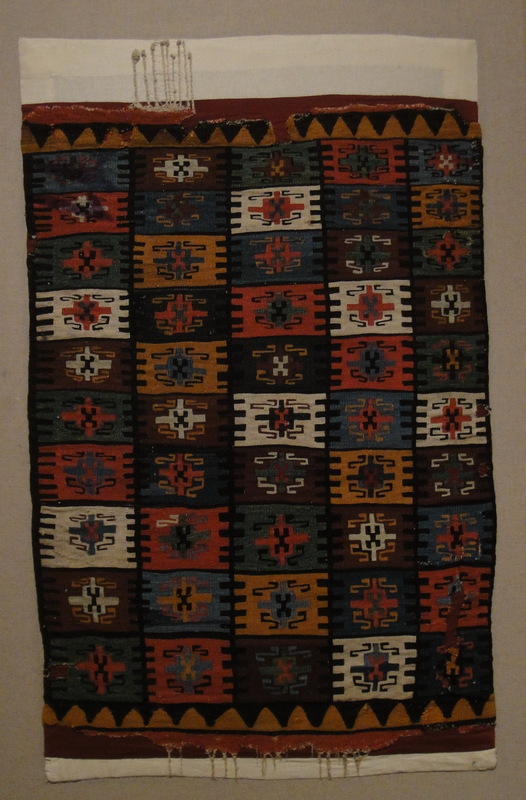 Kilims aren’t carpets, they are flat weaves — “tapestry weave” — the same technique used in European tapestries.